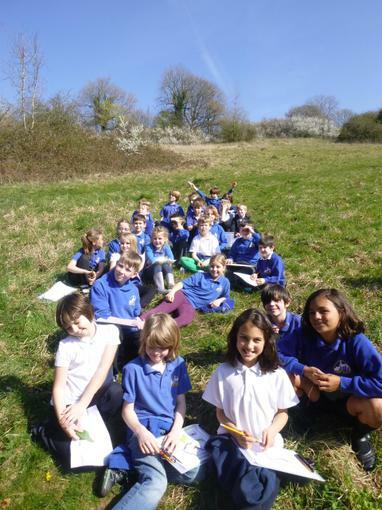 We had a lovely sunny afternoon for our outdoor Science lesson! 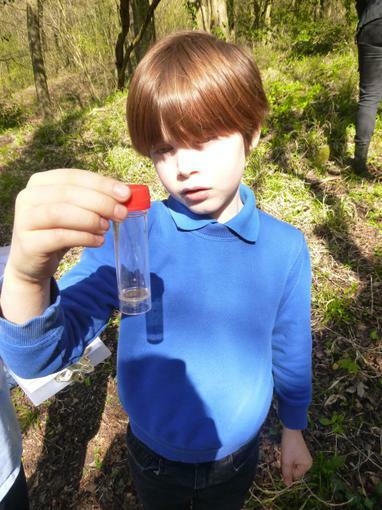 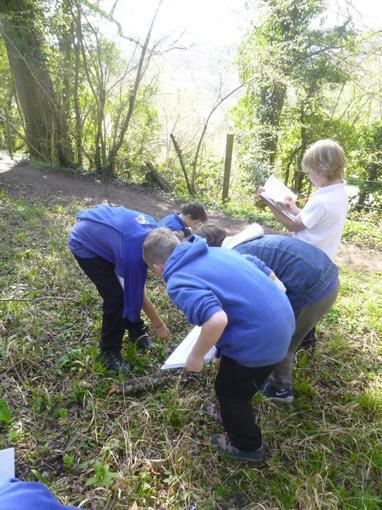 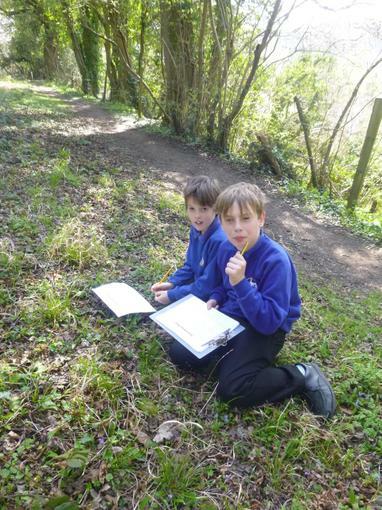 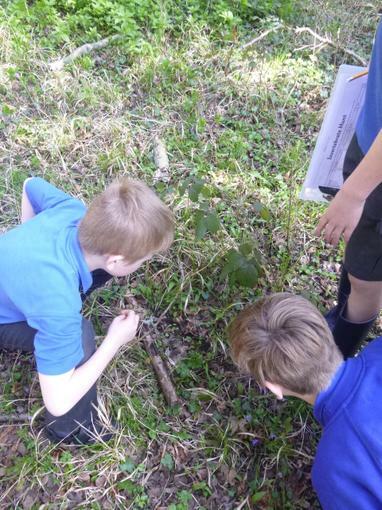 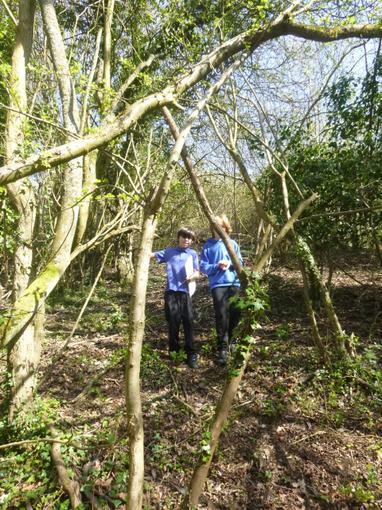 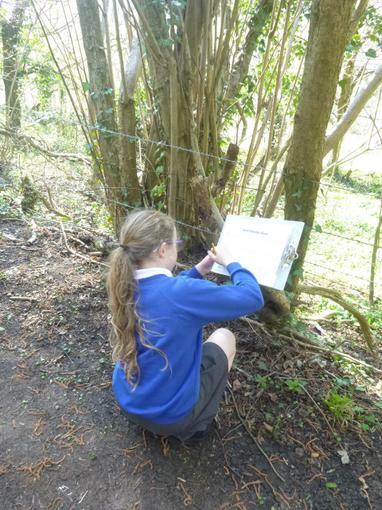 We explored the woodland and field habitats above school, looking for invertebrates and using classification keys to identify them. 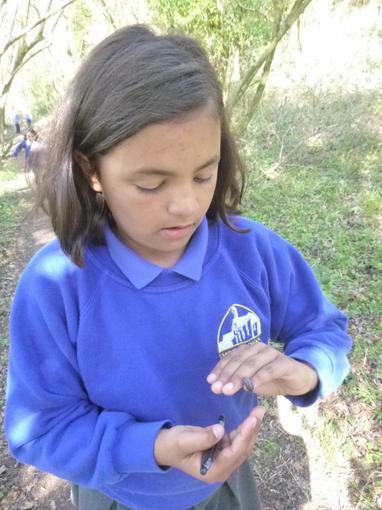 We found lots of different minibeasts hiding in all sorts of places! 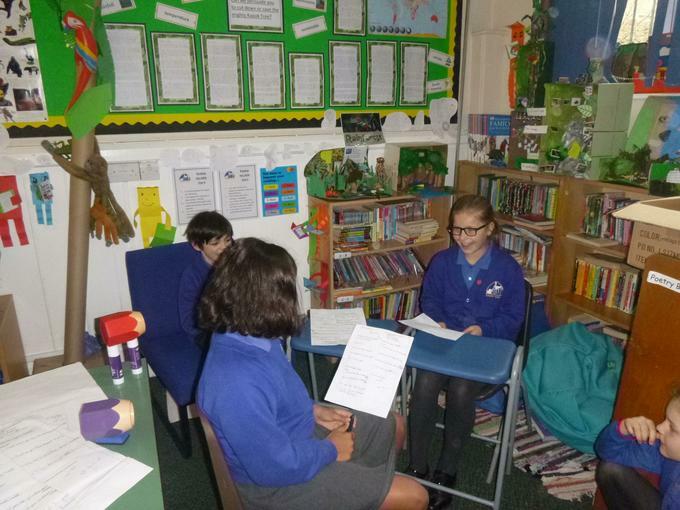 Eagles planned and performed a television news report with the top story being the mysterious disappearance of the Amazonian explorer Percy Fawcett. 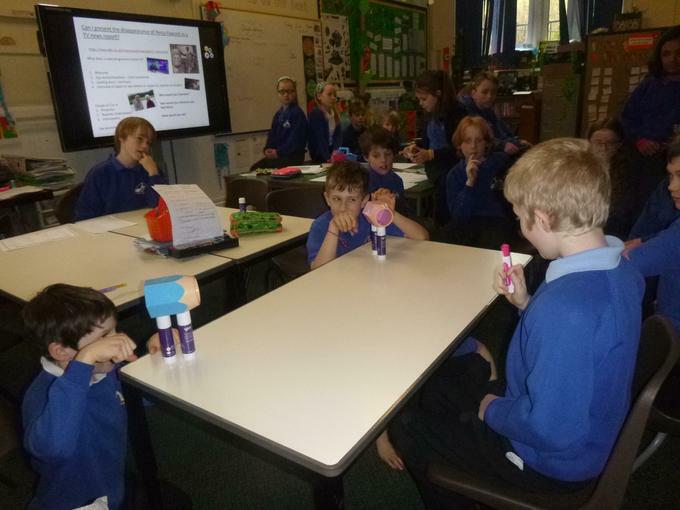 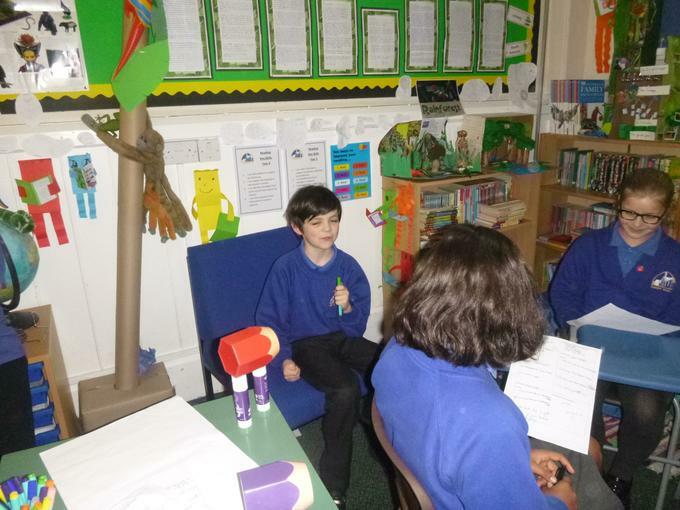 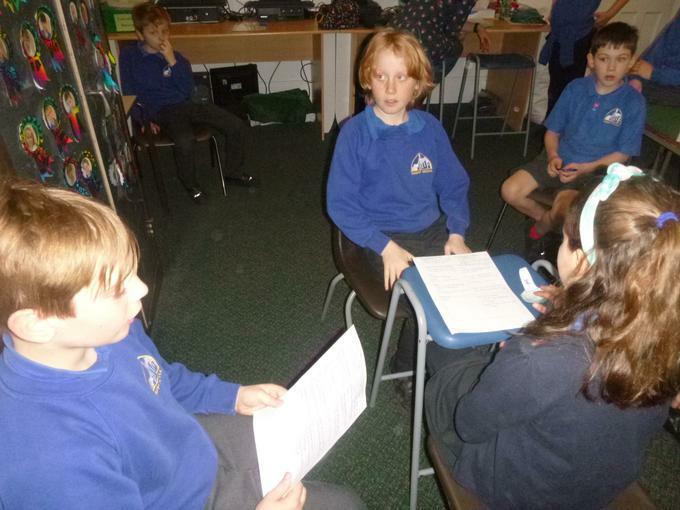 They worked really hard on their interview questions and interviewed a variety of people associated with Percy including an Amazonian native who seemed to know rather too much about Percy's disappearance and also had some of his possessions! 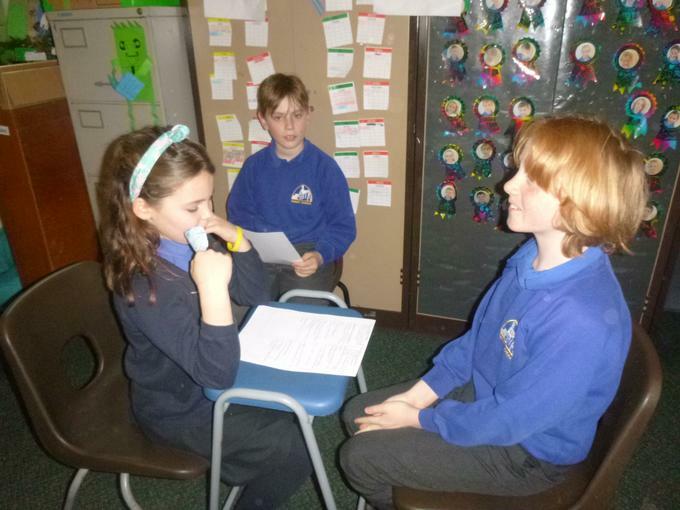 We were all rather suspicious. 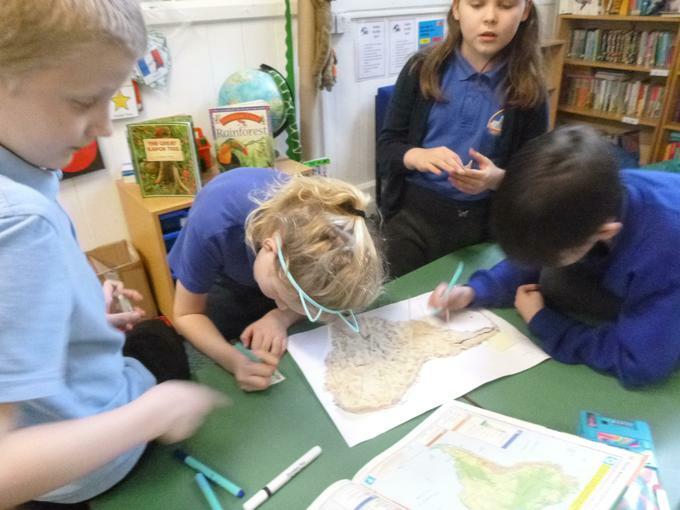 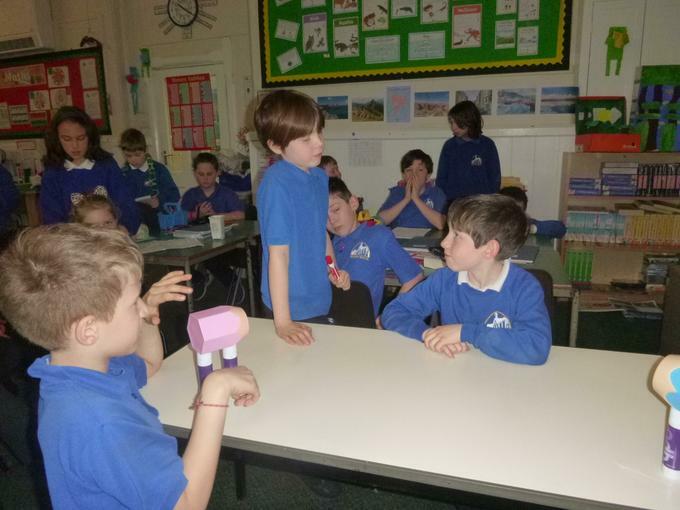 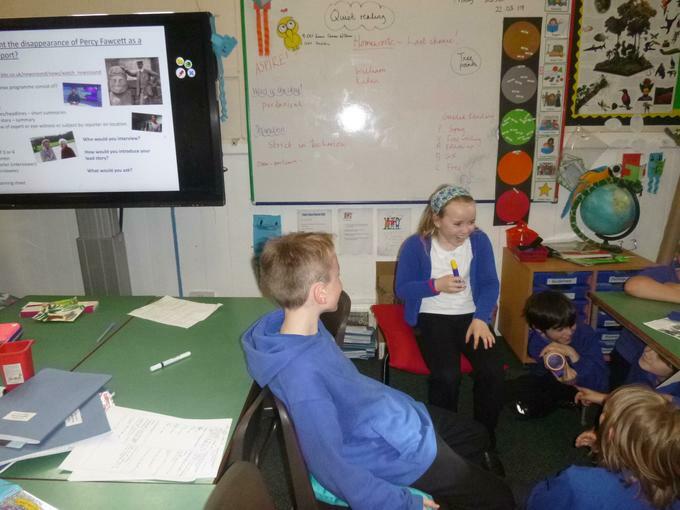 The children did a great job presenting and included some bonus stories including a bear spotted on a bike in Brimscombe, Trump building a wall around a volcano and some entertaining 'Are we in or are we out?' 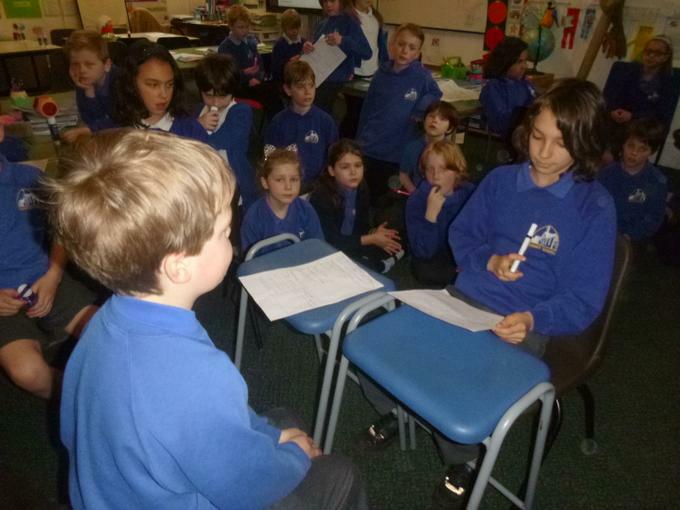 Brexit stories. 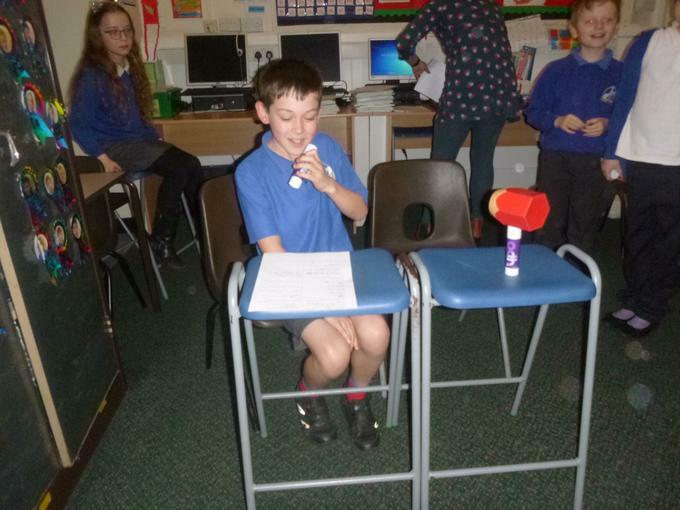 What an entertaining and talented bunch of children we have in Eagles! 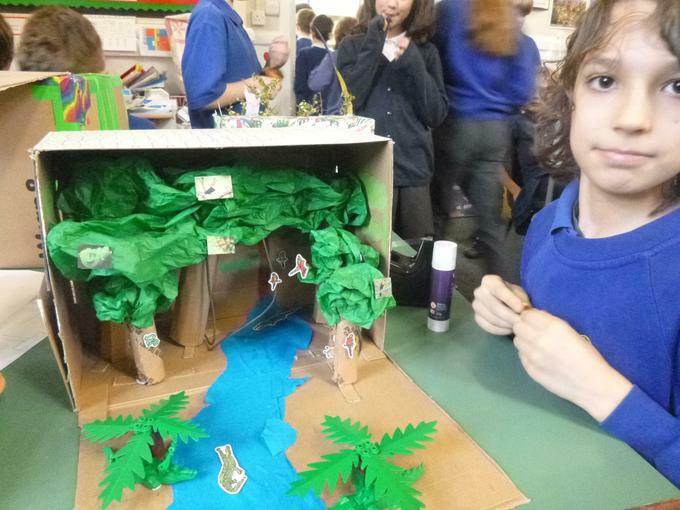 In Eagles we have been learning about food from the rainforest. 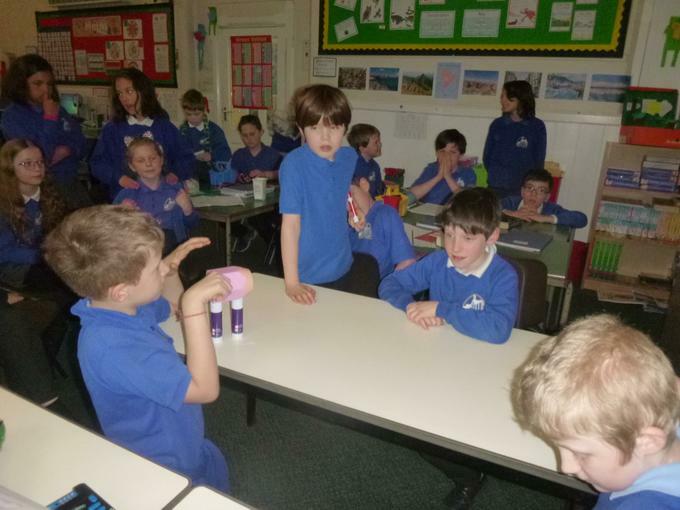 The children tasted a variety of foods in class and then used some of the ingredients to make delicious rainforest inspired smoothies with Mrs. Westwood. 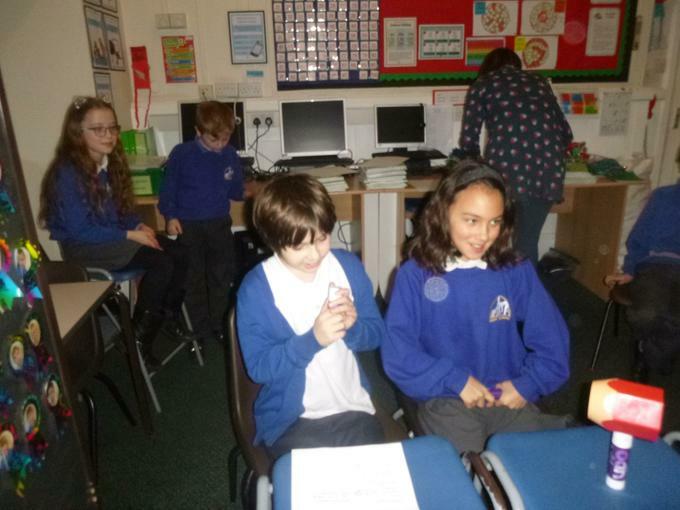 The groups tasted, modified and named their smoothies and one lucky adult got to sample a glass. 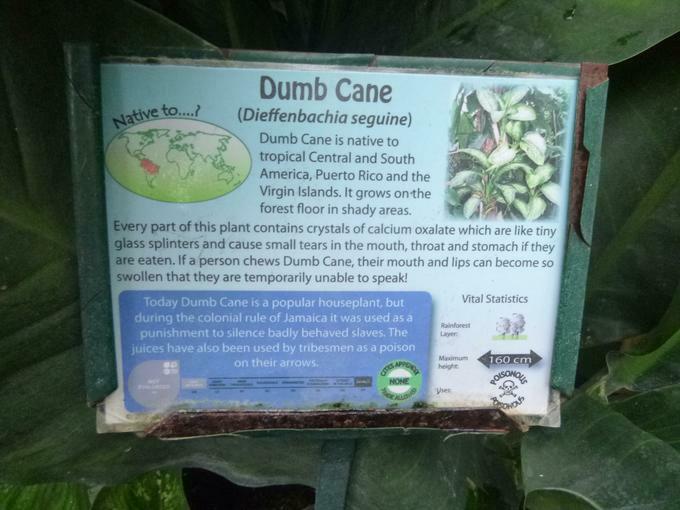 Mine was absolutely delicious! 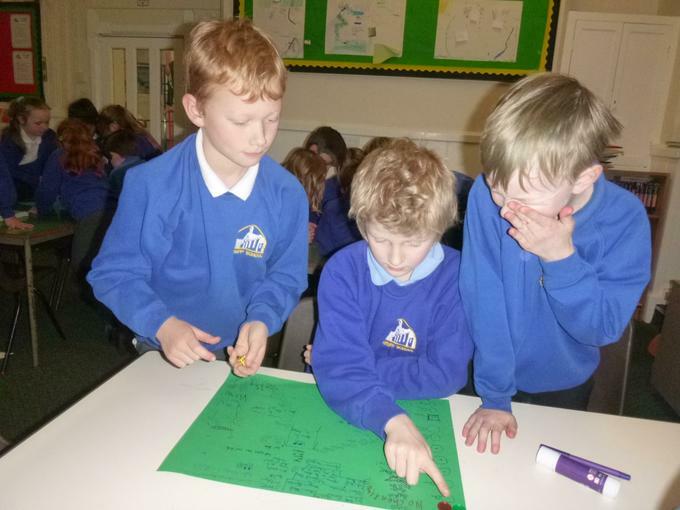 I hope they are inspired to try some smoothie making at home. 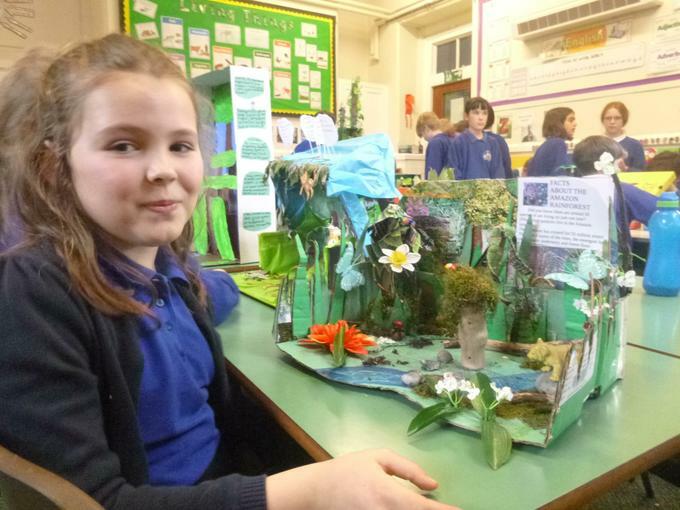 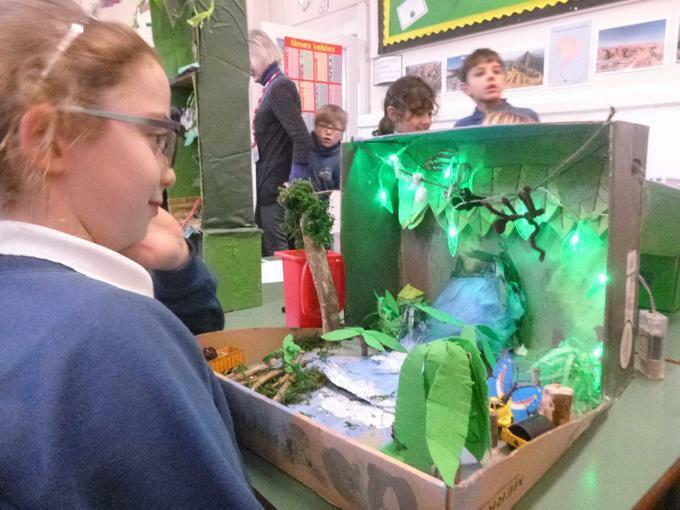 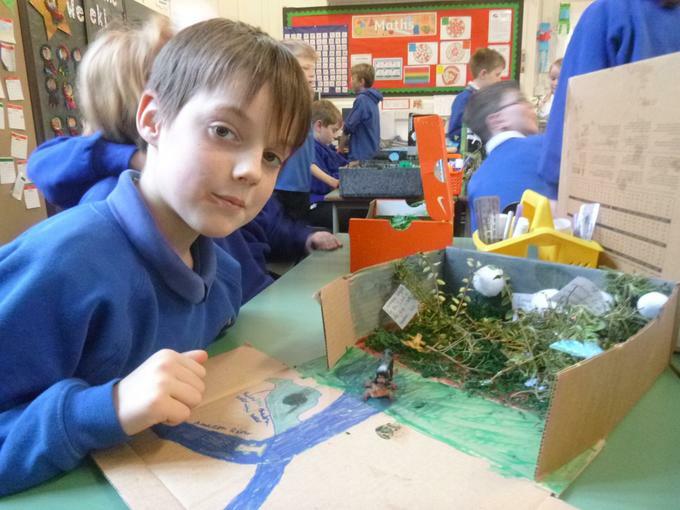 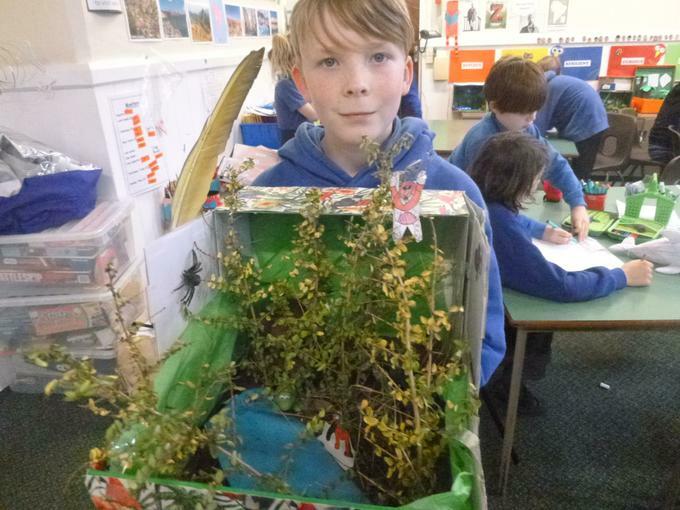 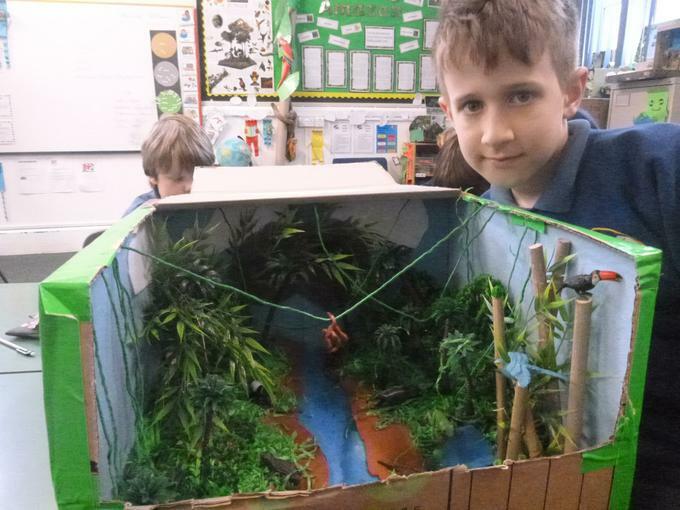 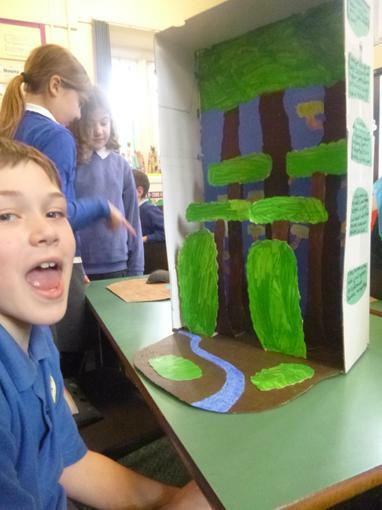 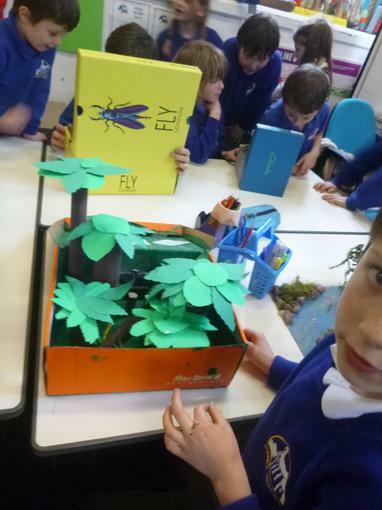 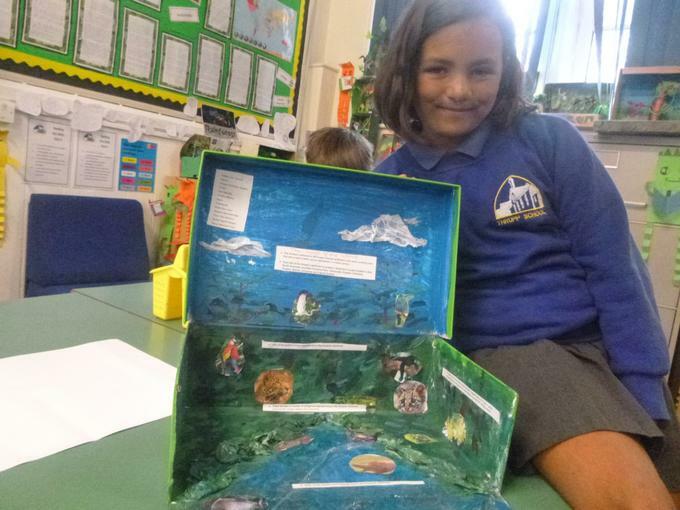 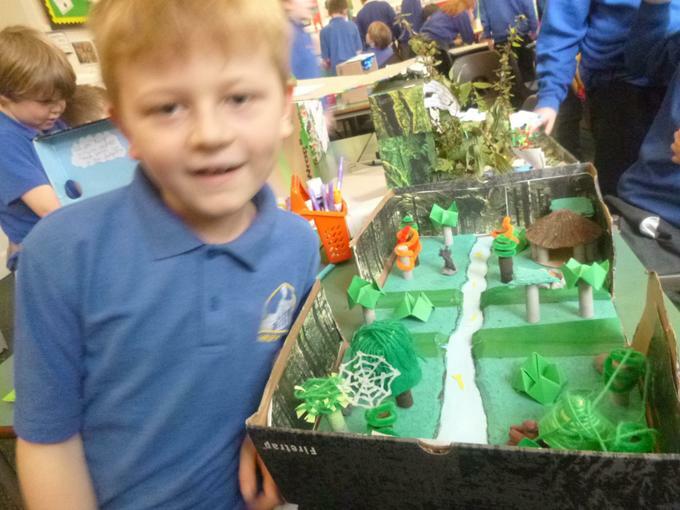 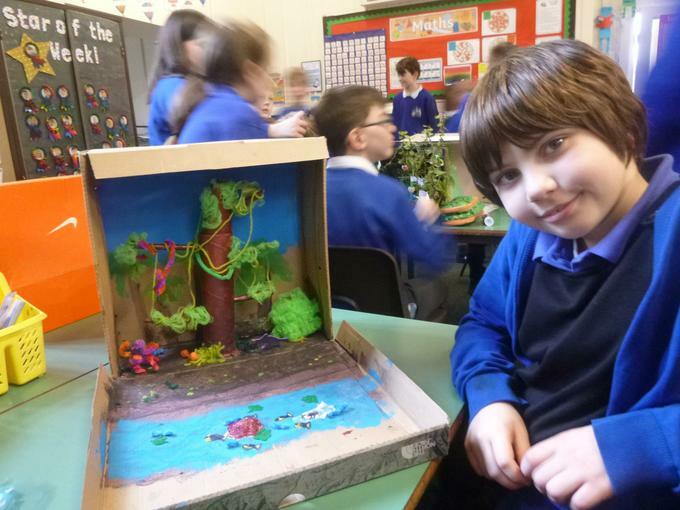 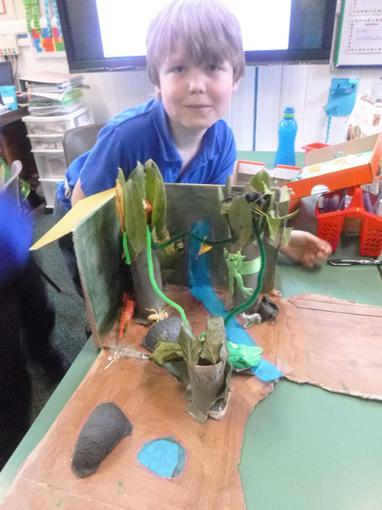 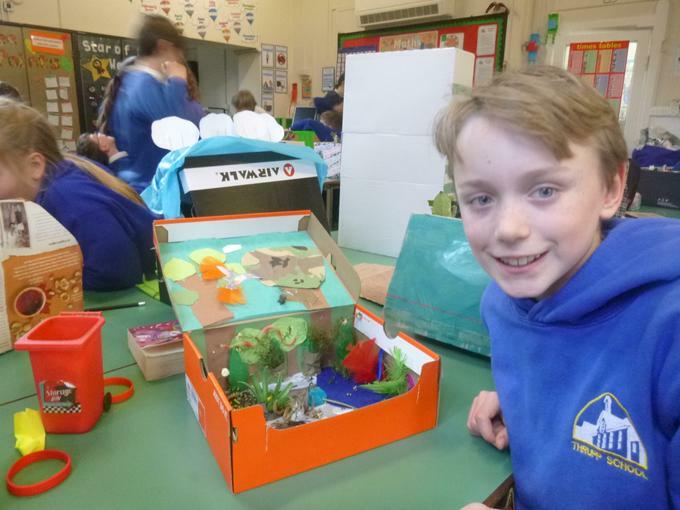 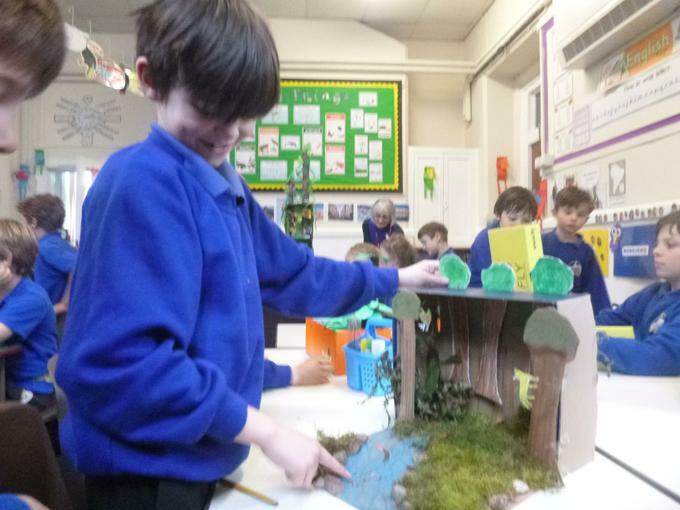 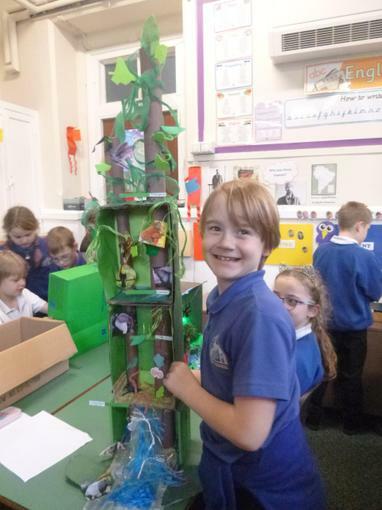 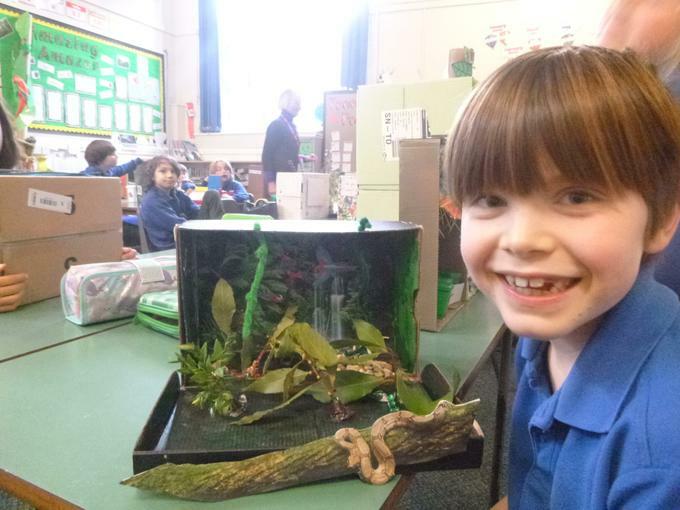 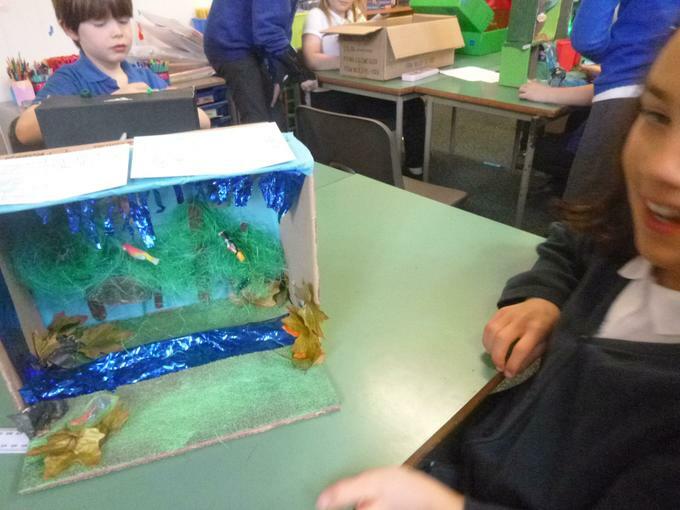 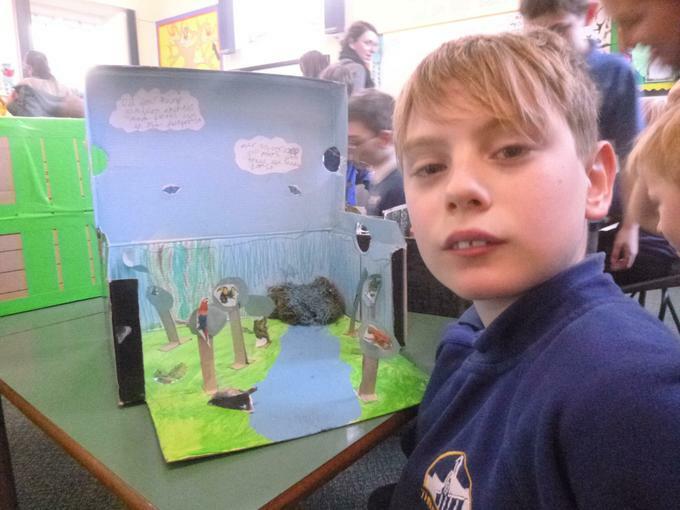 Take a look at the fabulous rainforest dioramas that Eagles did for homework. 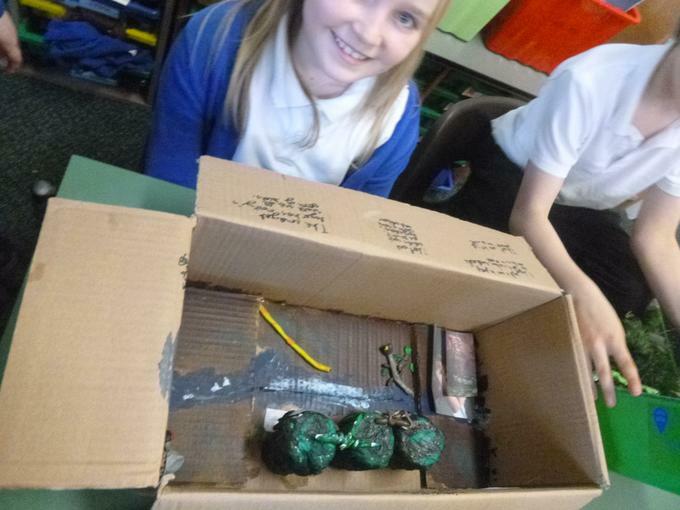 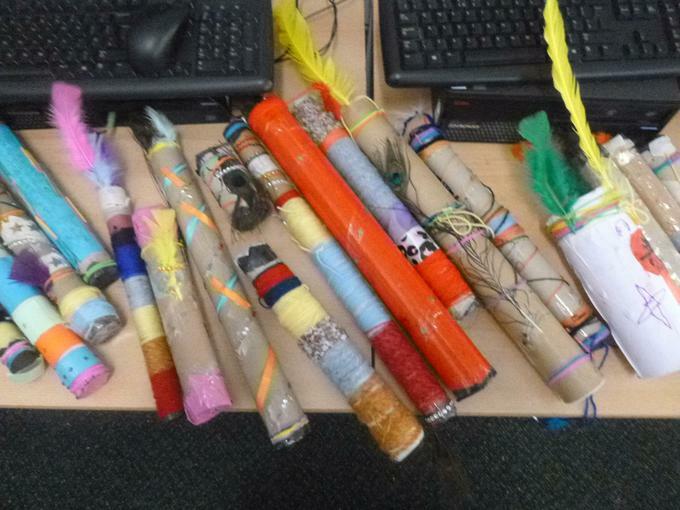 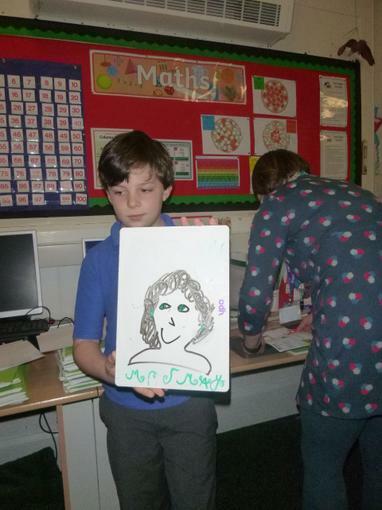 We were really impressed with the amount of time that the children had spent on this project and the creativity shown. 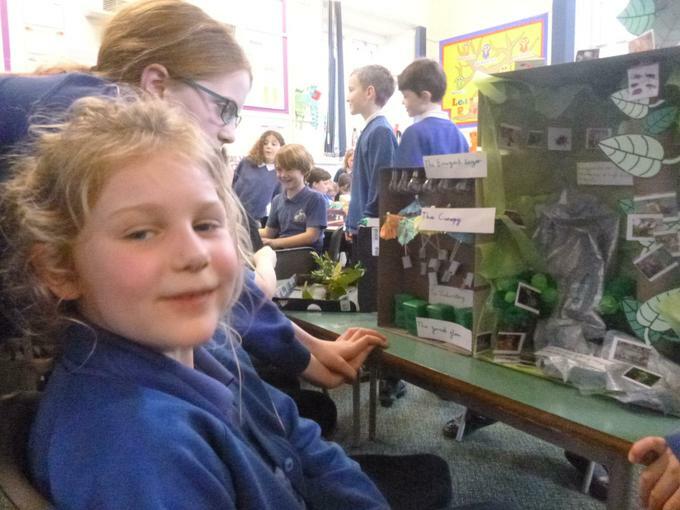 Owls and Buzzards came to view the dioramas and the children loved talking about their projects. 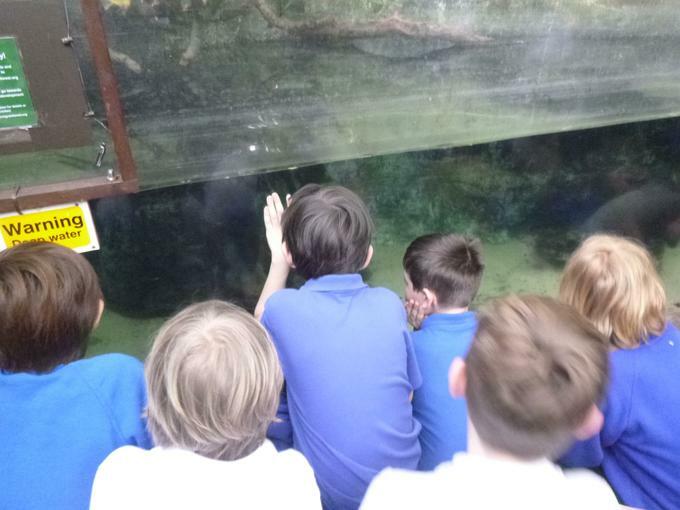 Thank you to those parents who also found the time to come in and take a peek. 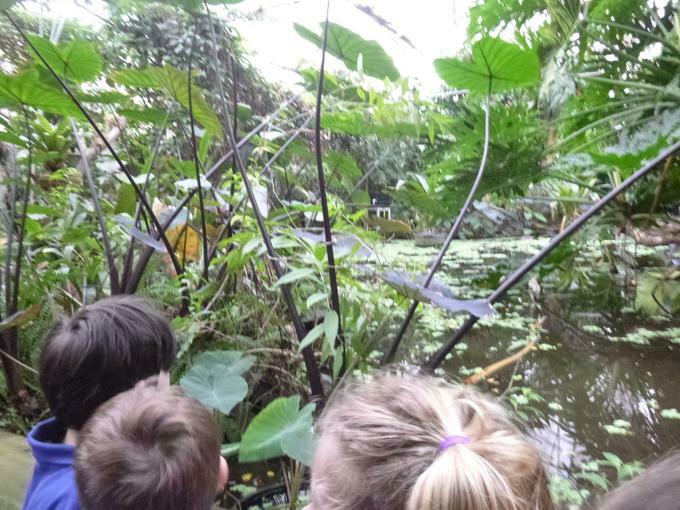 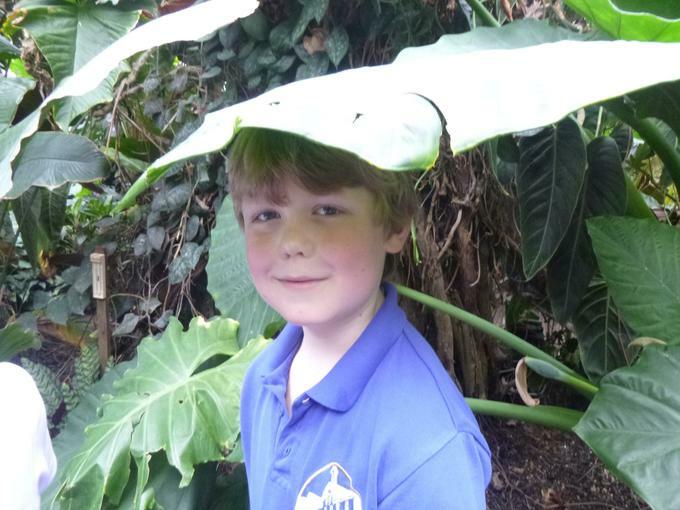 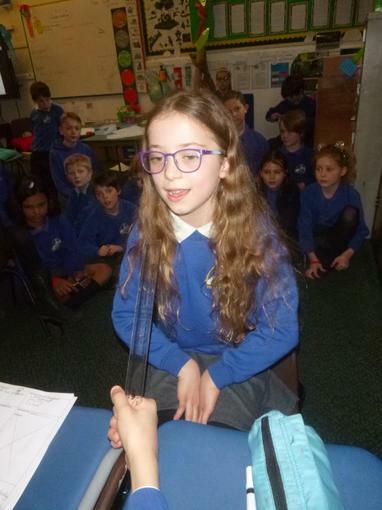 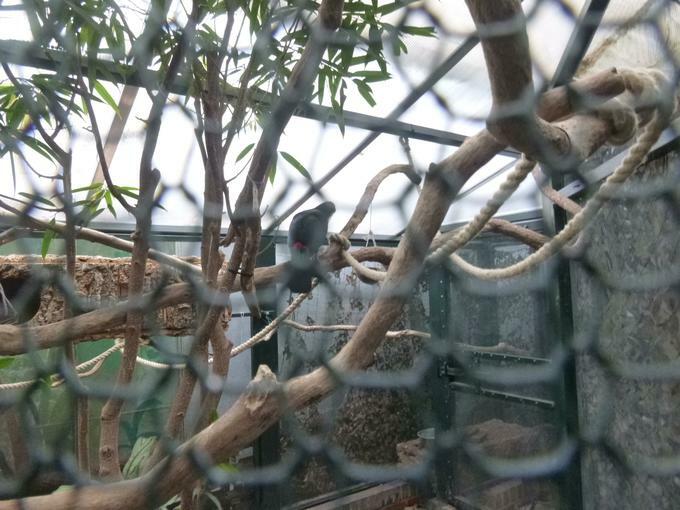 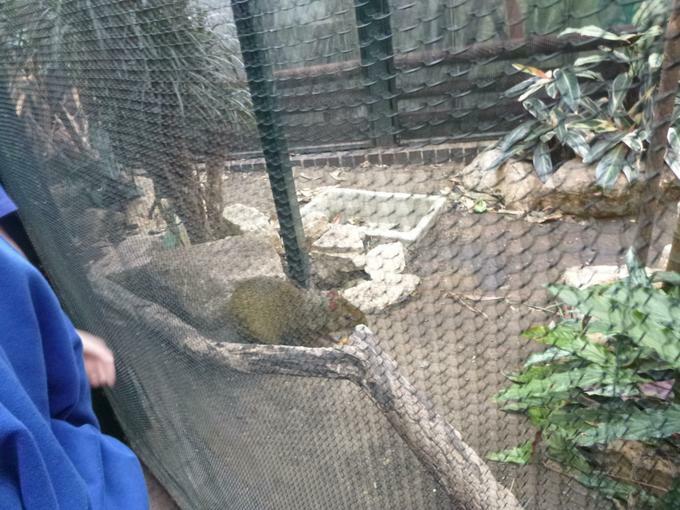 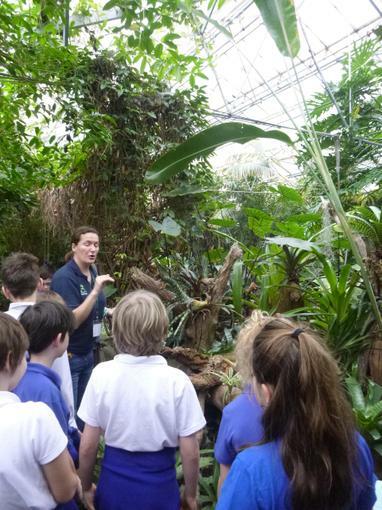 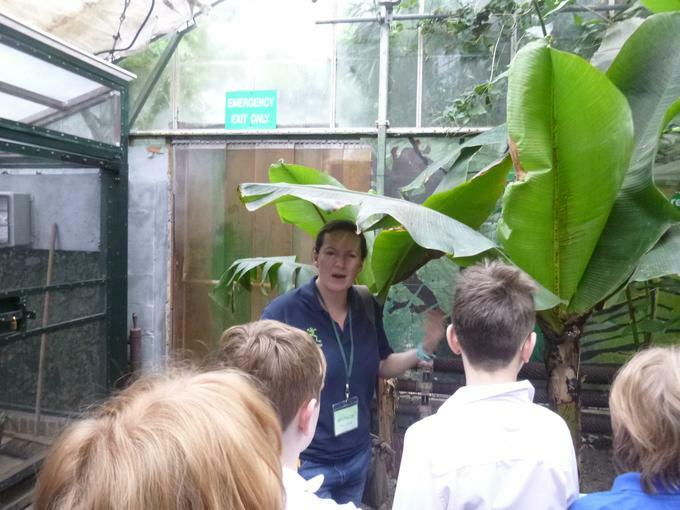 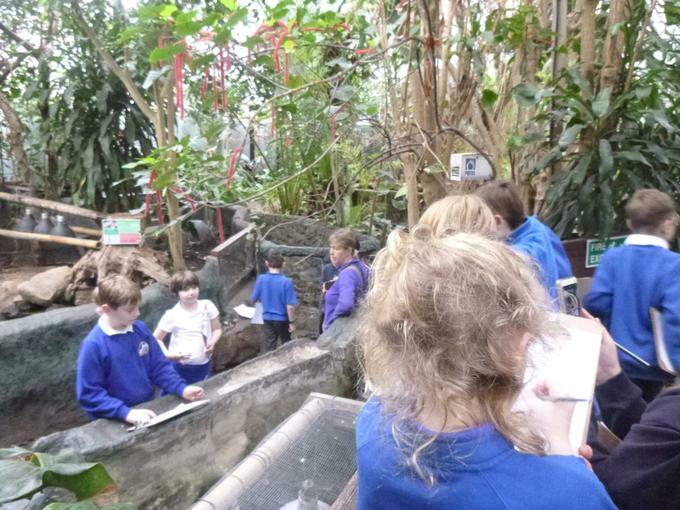 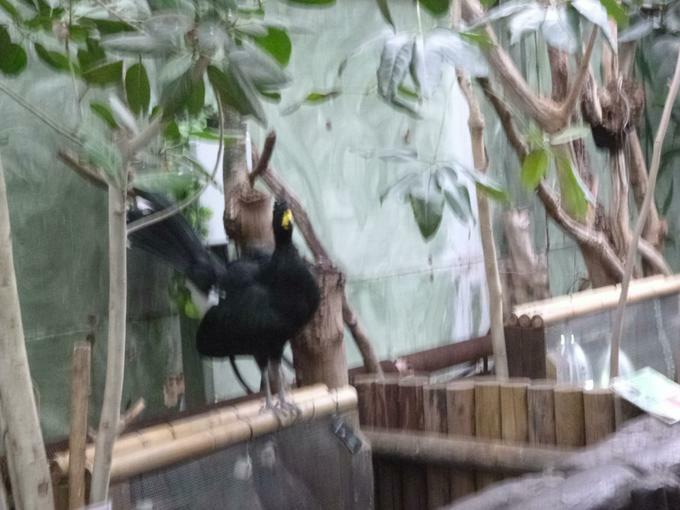 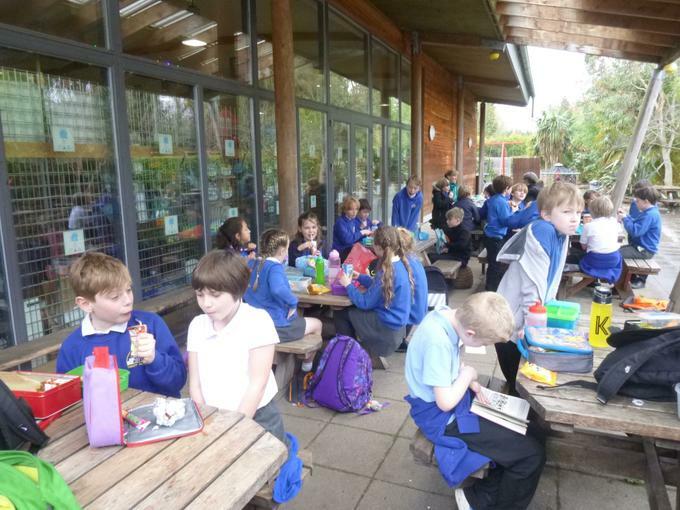 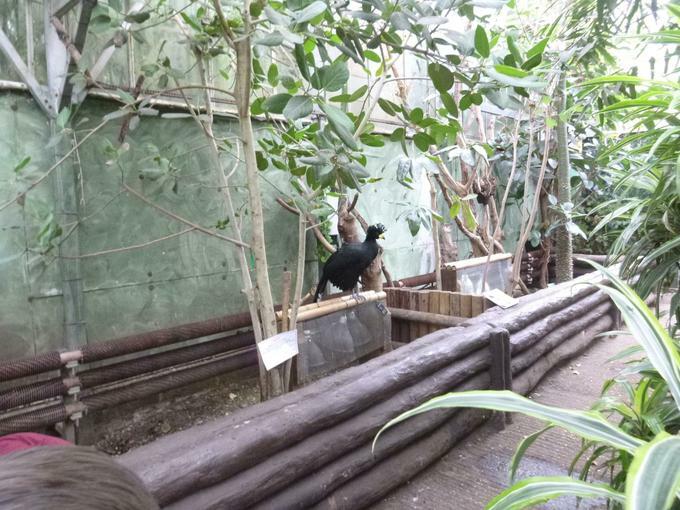 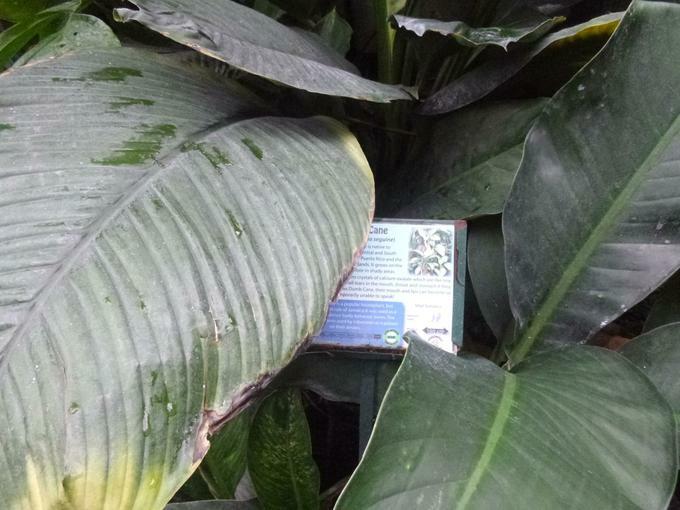 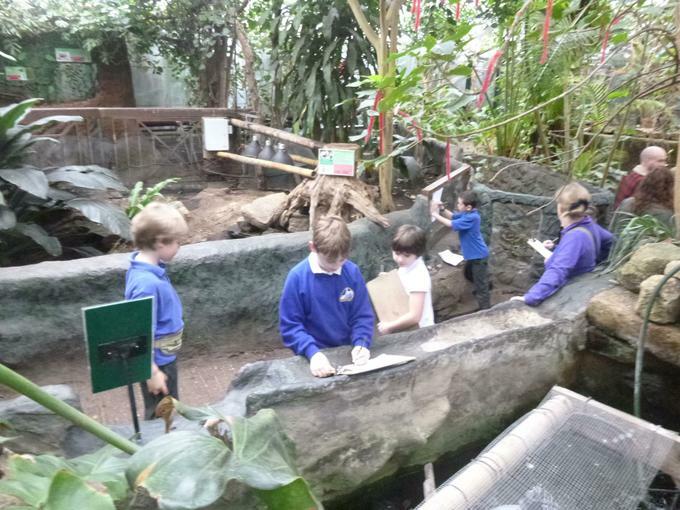 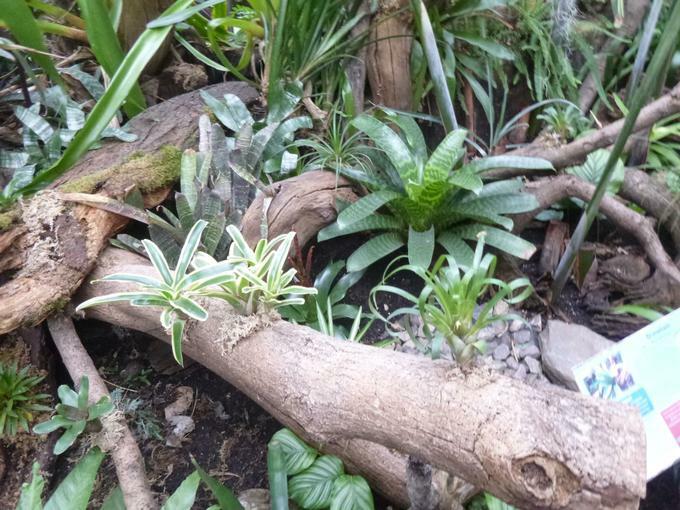 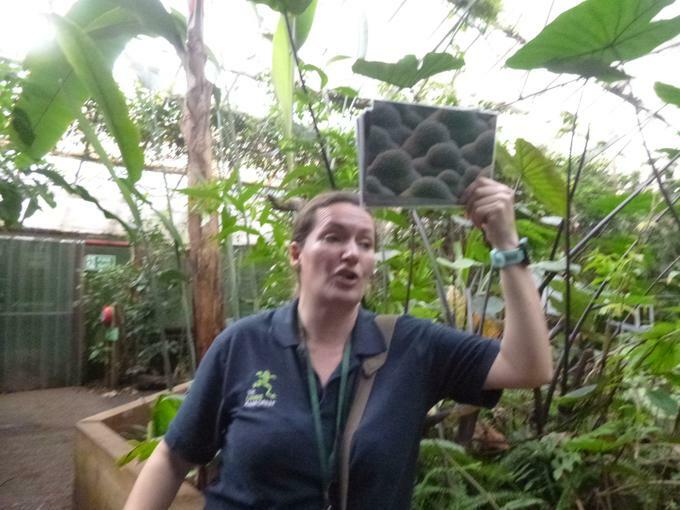 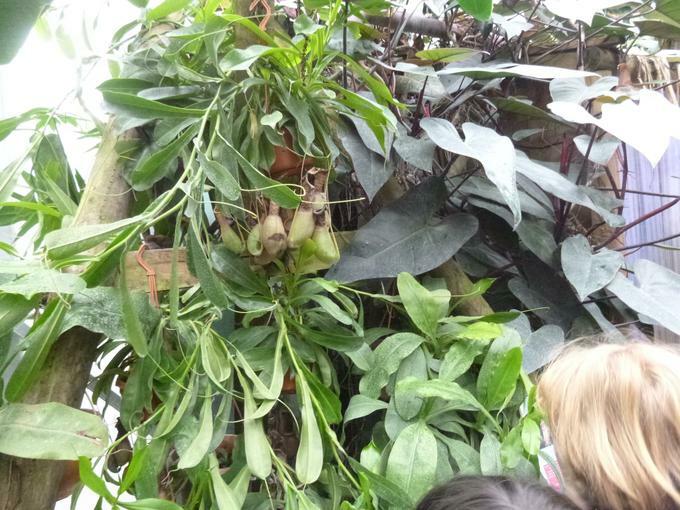 Eagles had a fabulous visit to 'The Living Rainforest' with some children saying that it was the best trip ever! 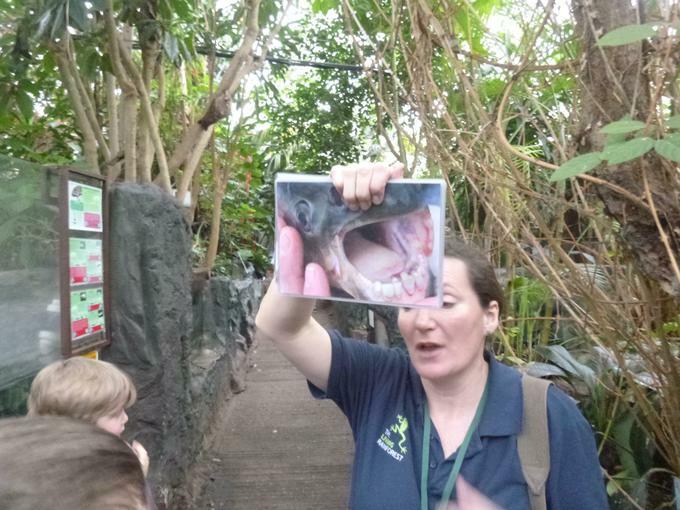 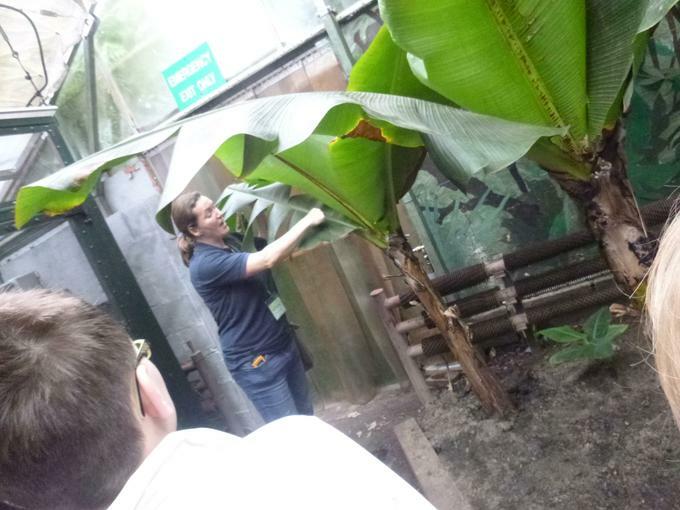 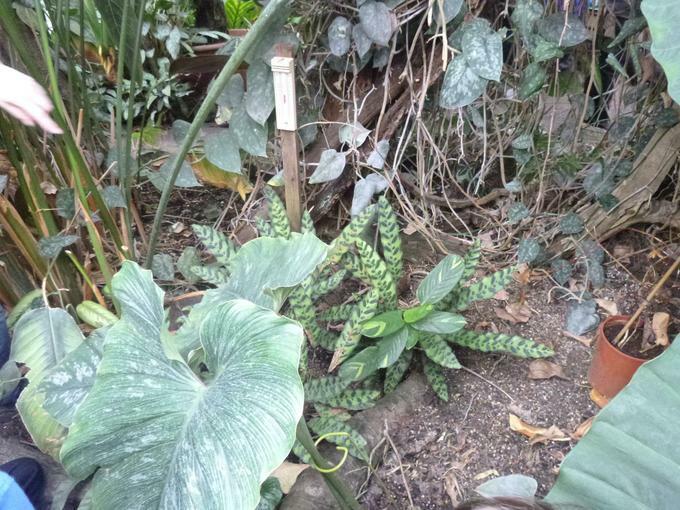 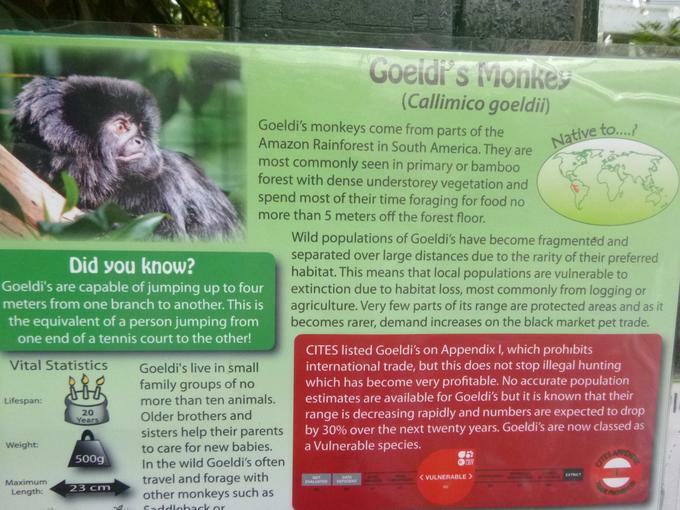 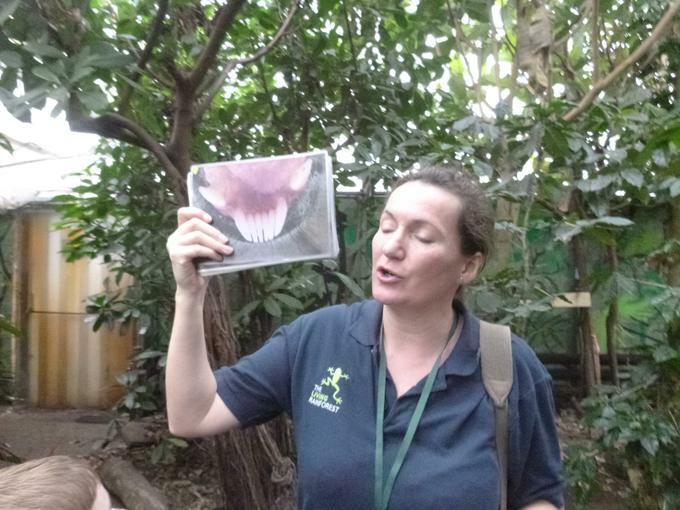 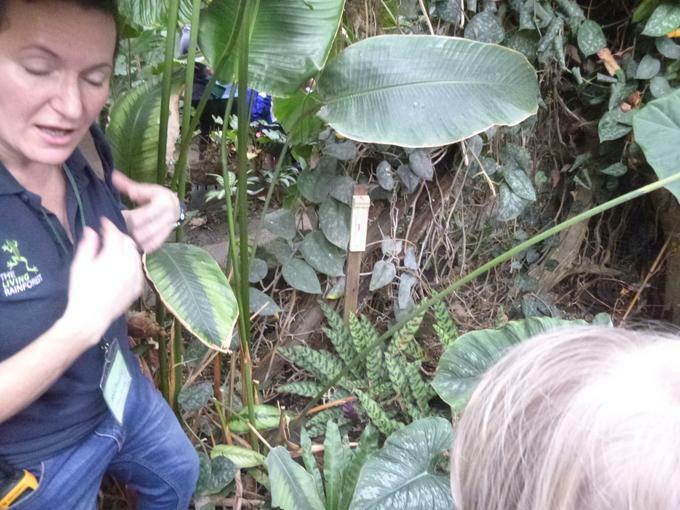 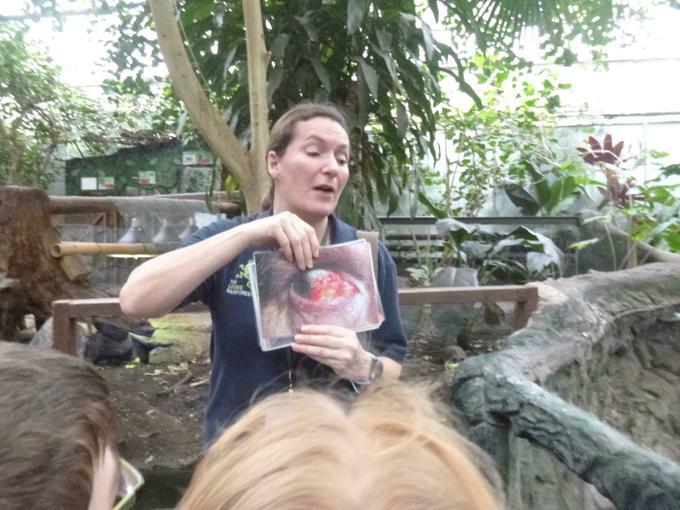 They learned so much about how animals and plants have adapted to life in the rainforest and the tour guides imparted a huge amount of facts in our 50 minute tour and were impressed at how much the children already knew. 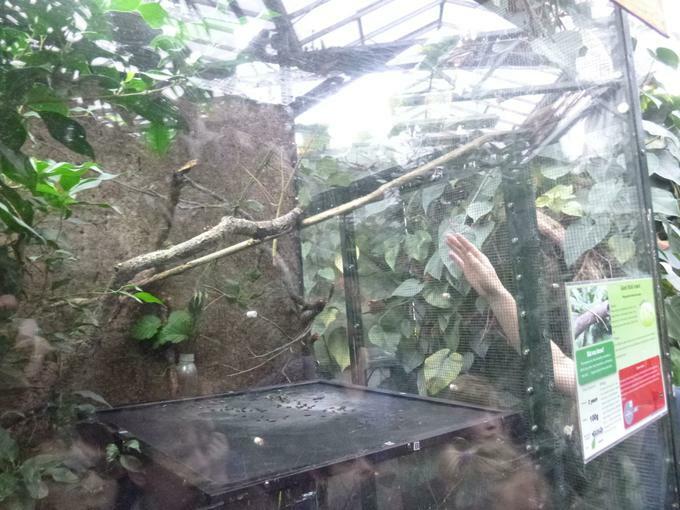 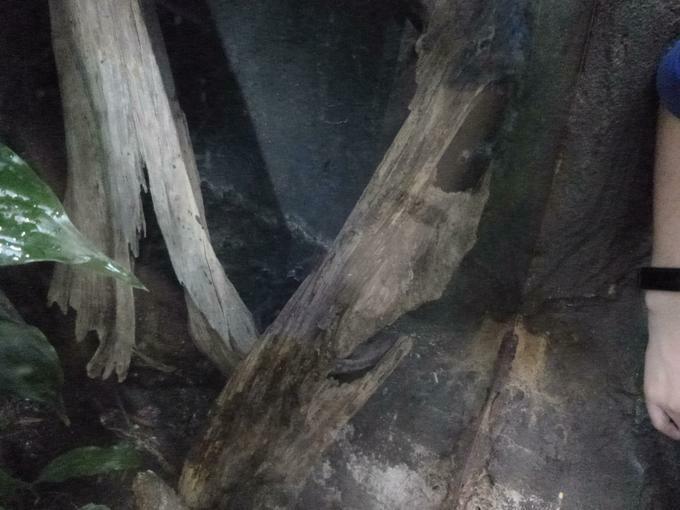 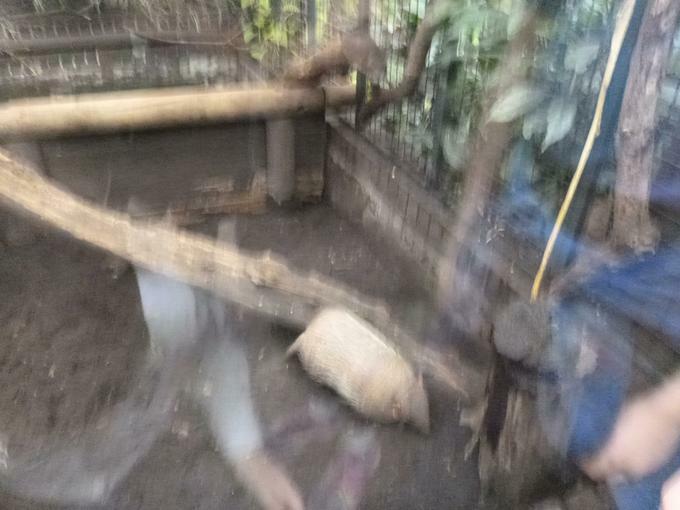 We were lucky enough to see the sloth in action and to get up close to many of the animals and plants. 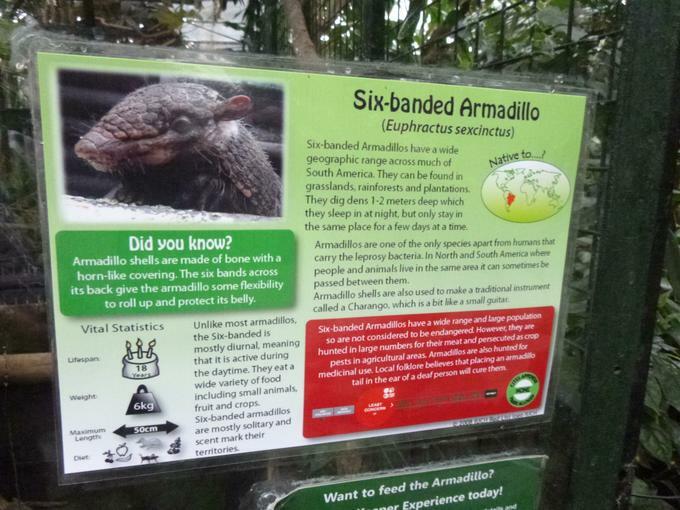 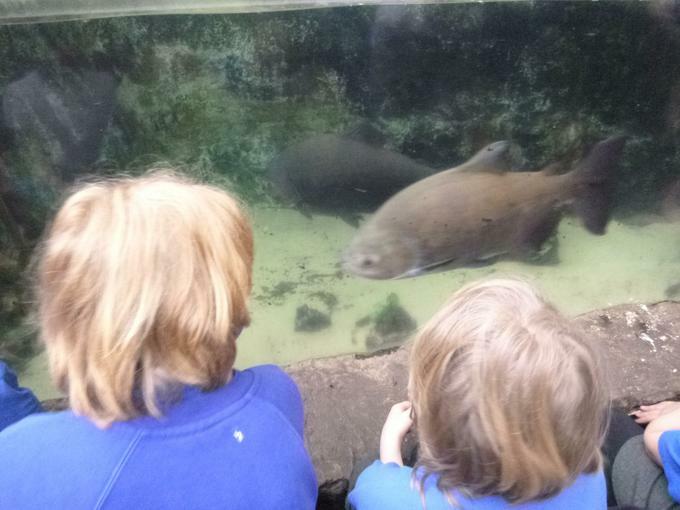 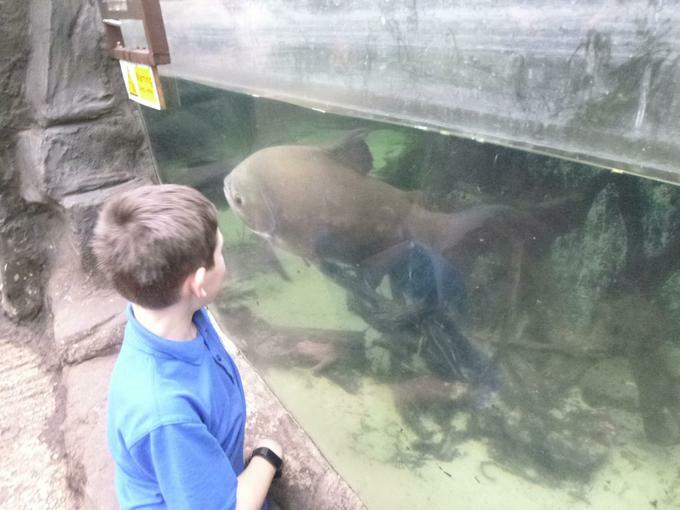 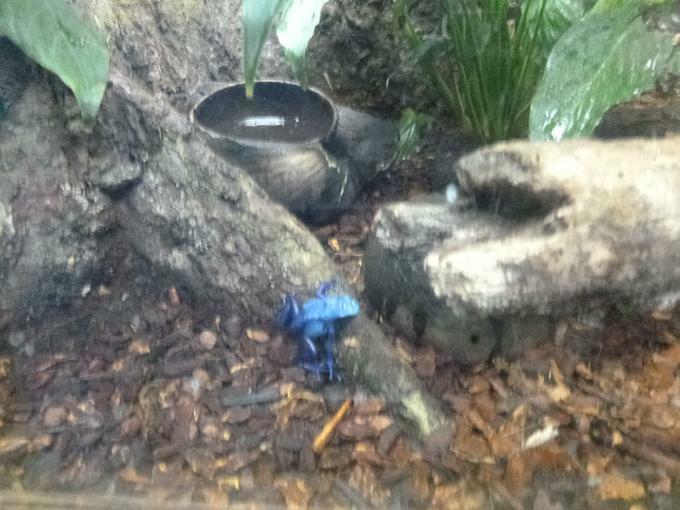 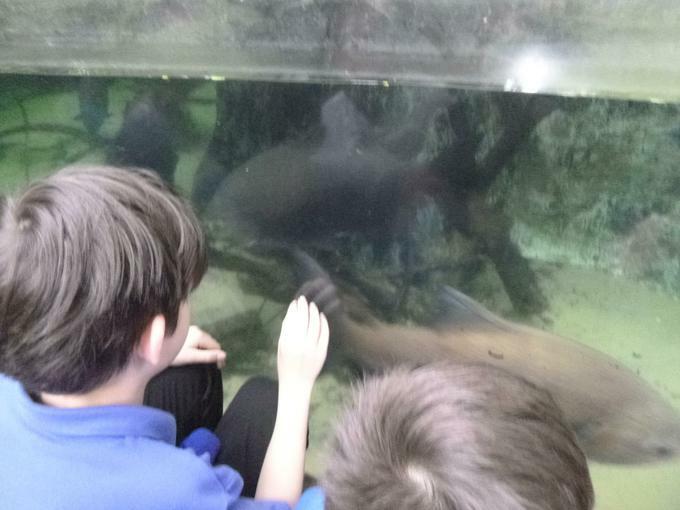 Here are a few pictures of the trip including some information about their favourite animals. 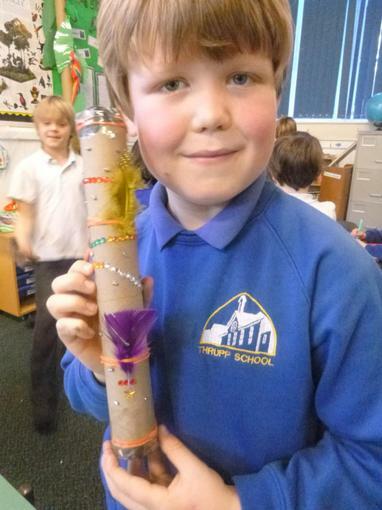 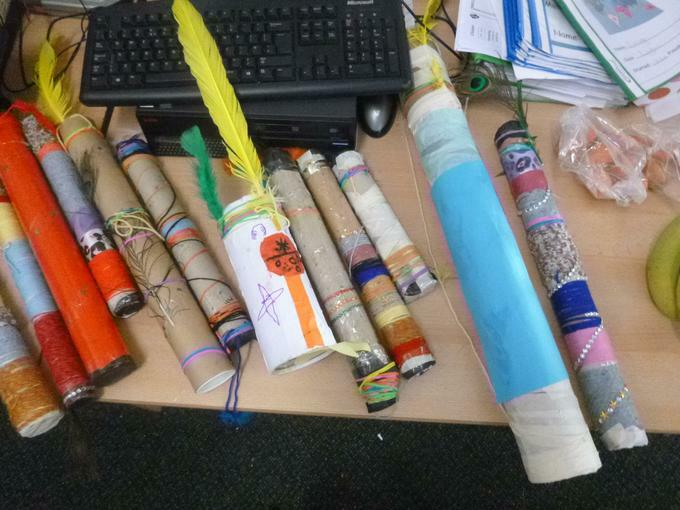 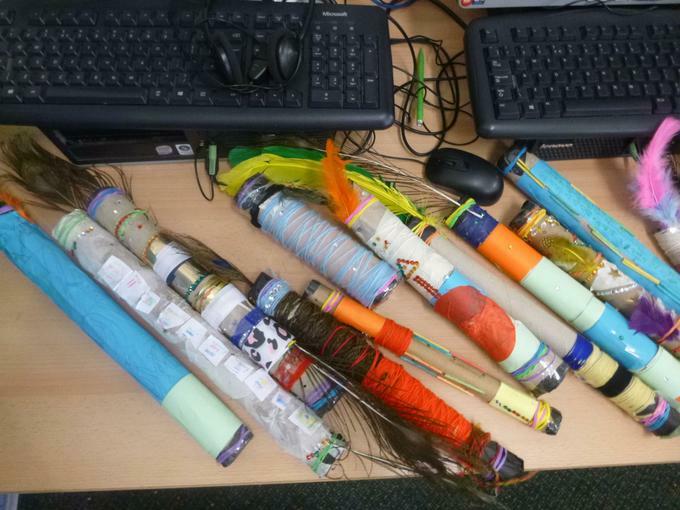 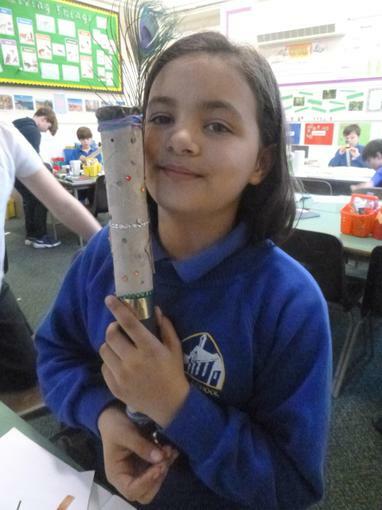 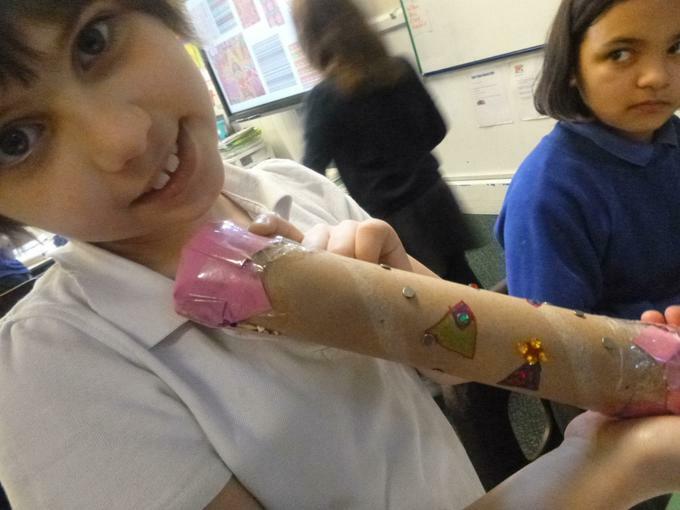 15.02.19 Making Rainsticks The children planned, made and decorated these wonderful rainsticks. 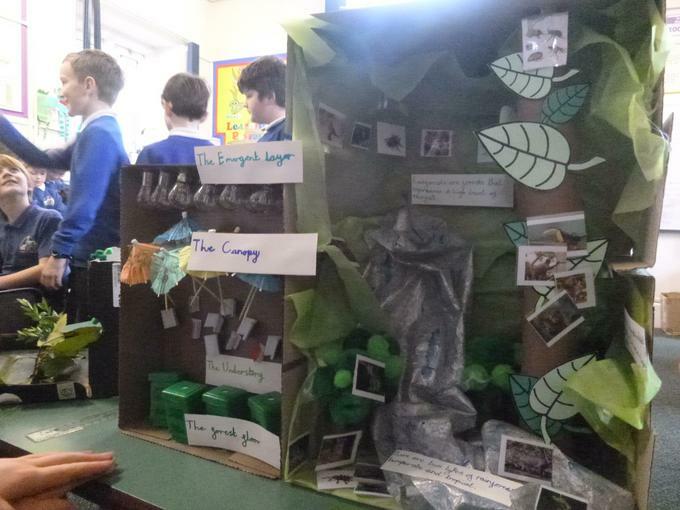 They should be very proud of their hard work and creativity. 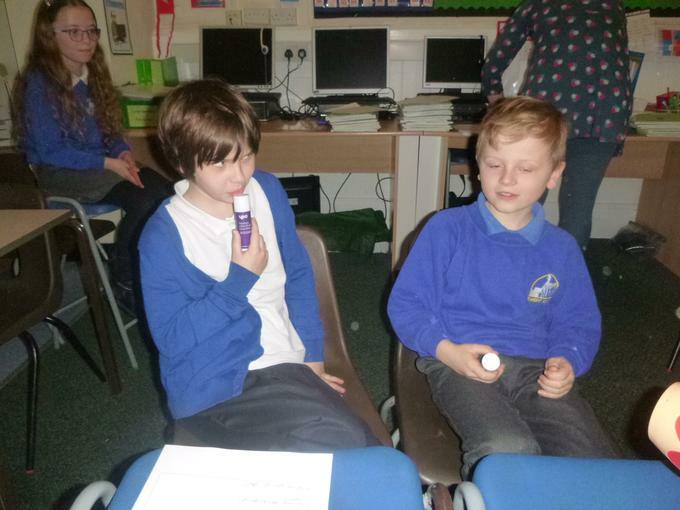 They sound great! 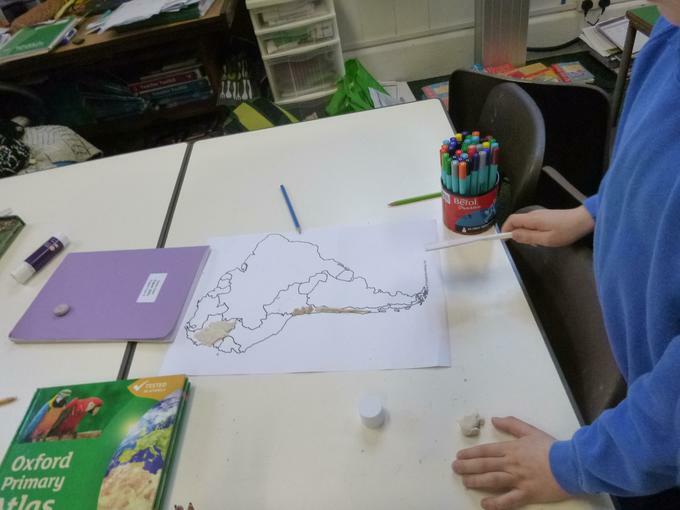 08.02.19 Homework - due in February 28th. 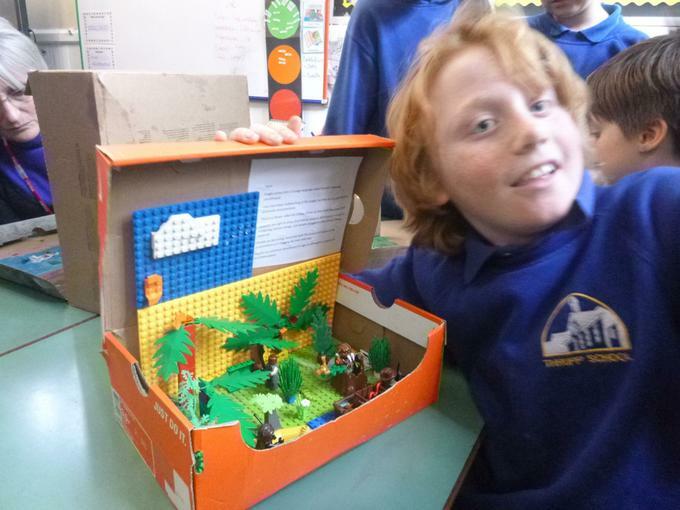 This is a 3-week homework task given last Friday. 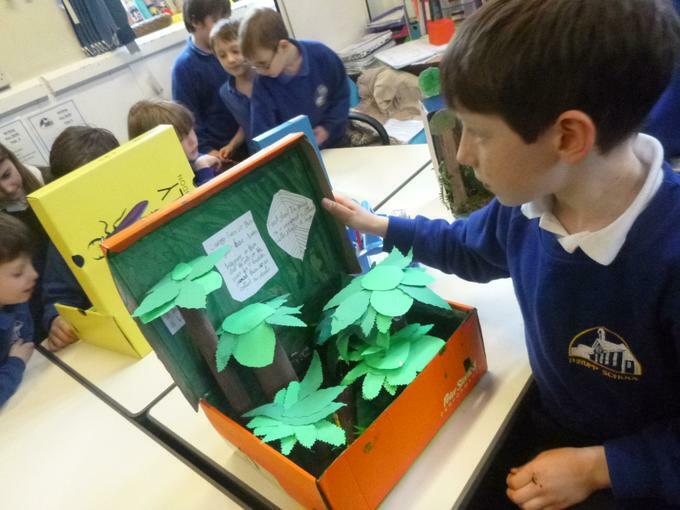 In English, we are using two books by Lynne Cherry to inspire our writing. 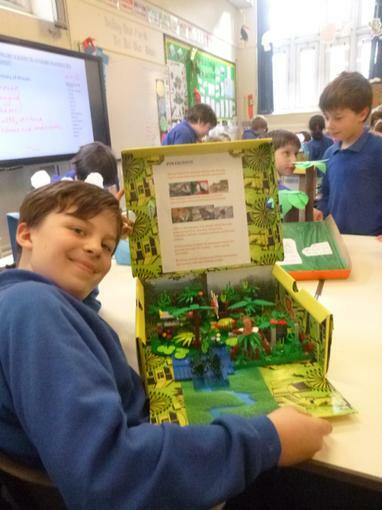 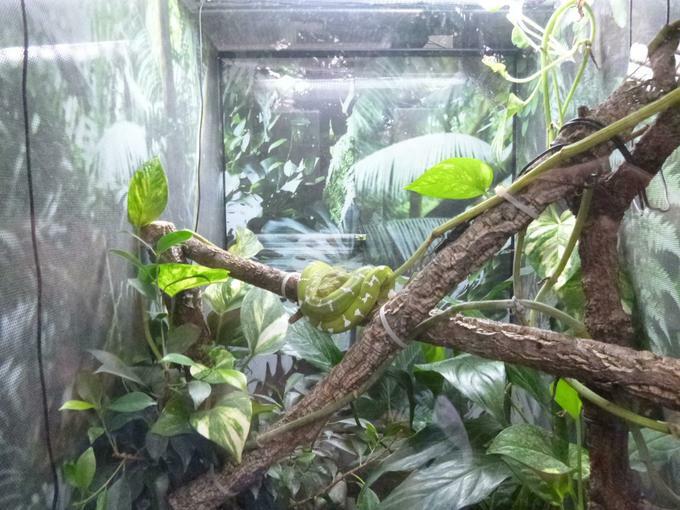 Both are set in the Amazon rainforest and explore the importance of preserving this unique environment. 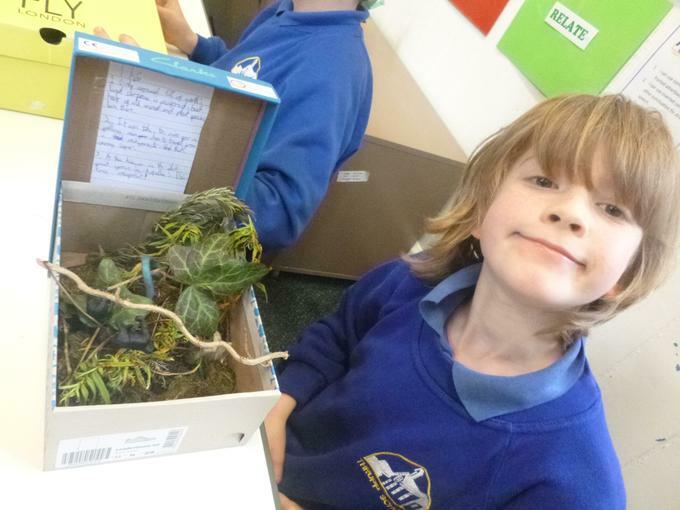 We have been writing persuasive letters and will be writing our own rainforest stories soon. 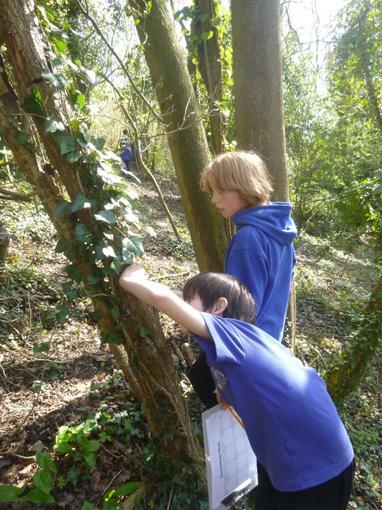 We have wrapped up and braved the cold weather to continue with our Forest School sessions. 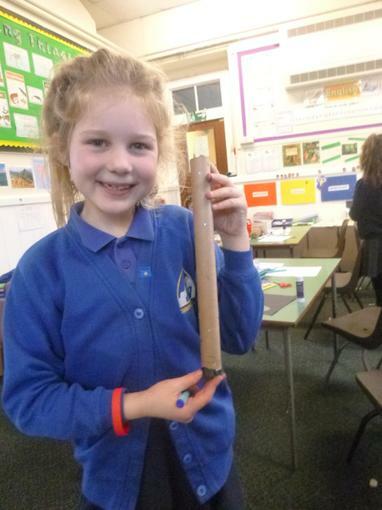 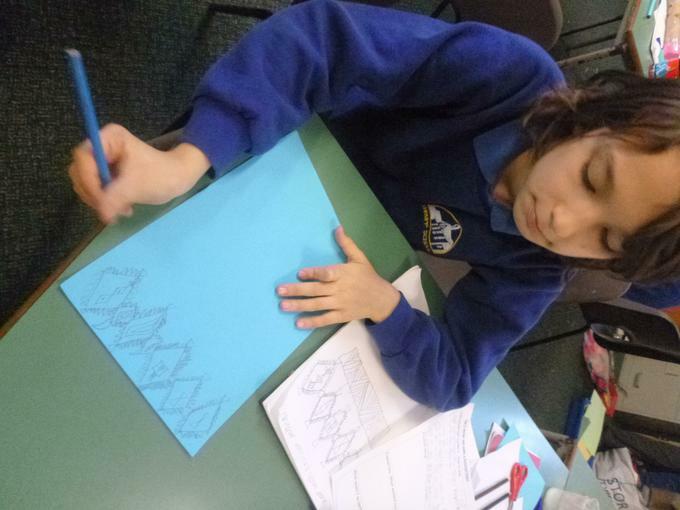 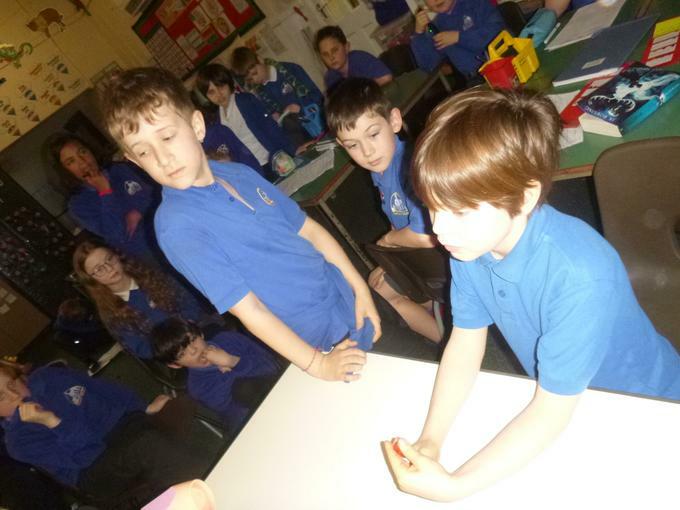 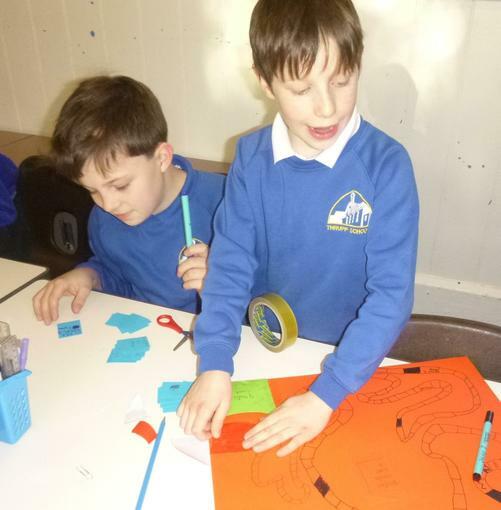 We have created a trading system between our different 'tribes' and are making our own products to sell. 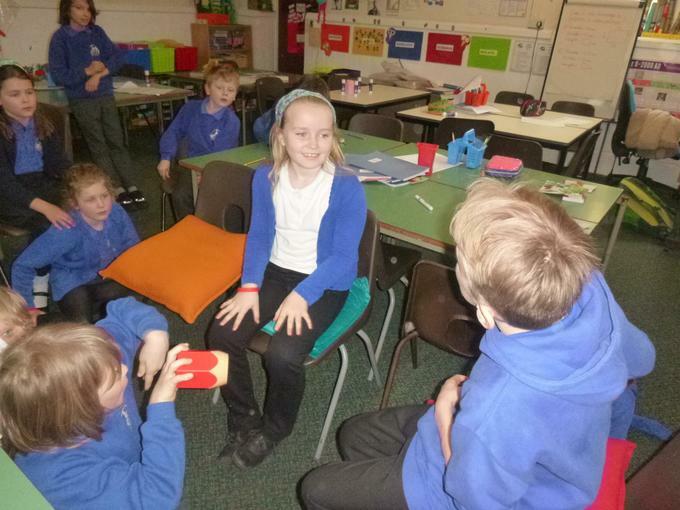 Some children demonstrated their learning power of resilience and managed to get a fire going despite the cold, damp conditions! 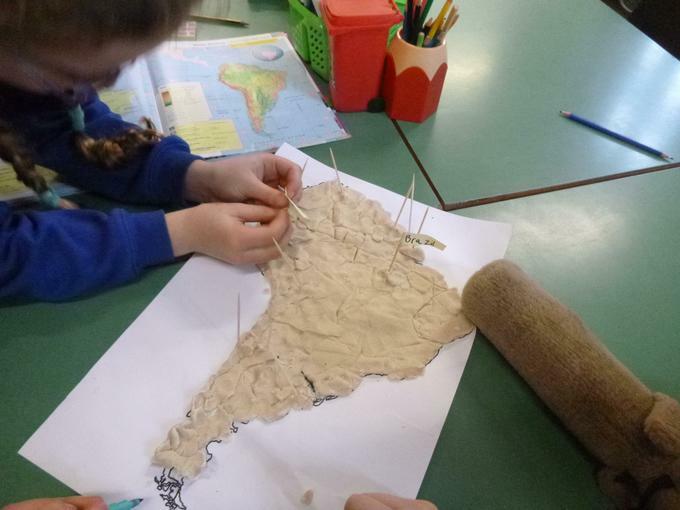 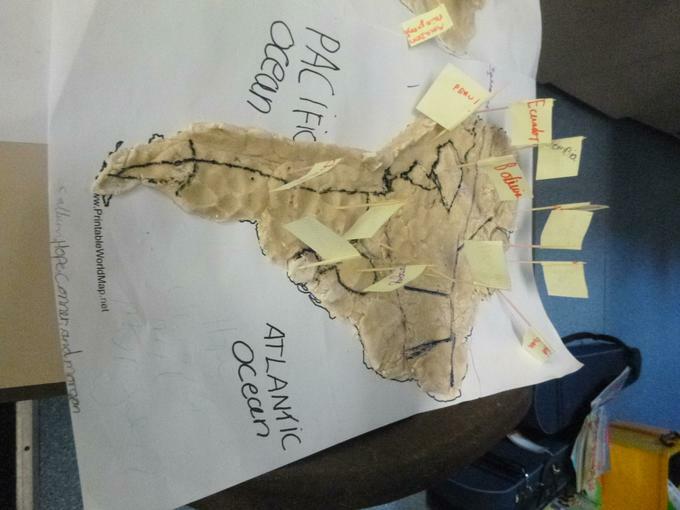 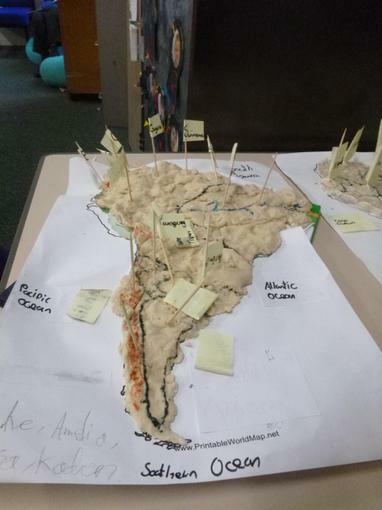 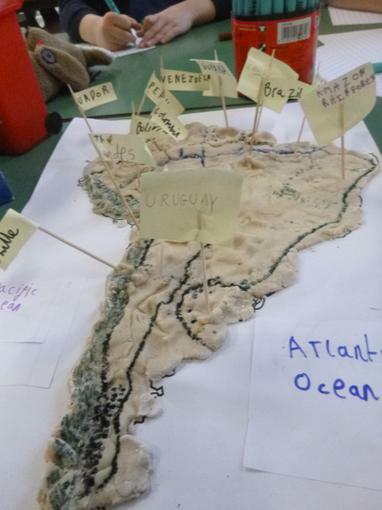 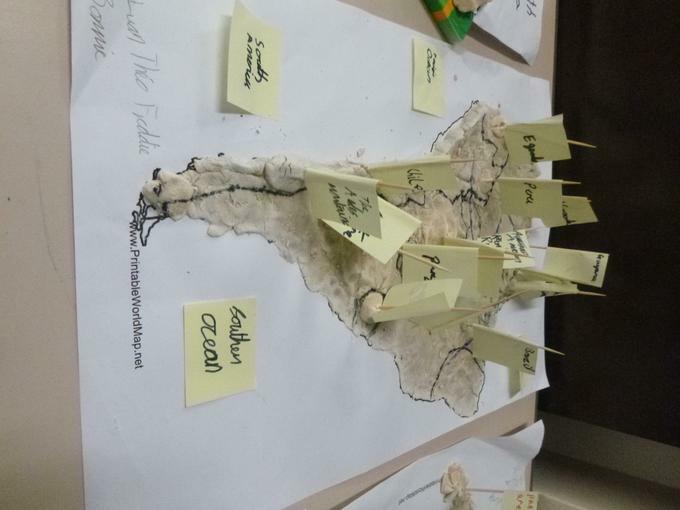 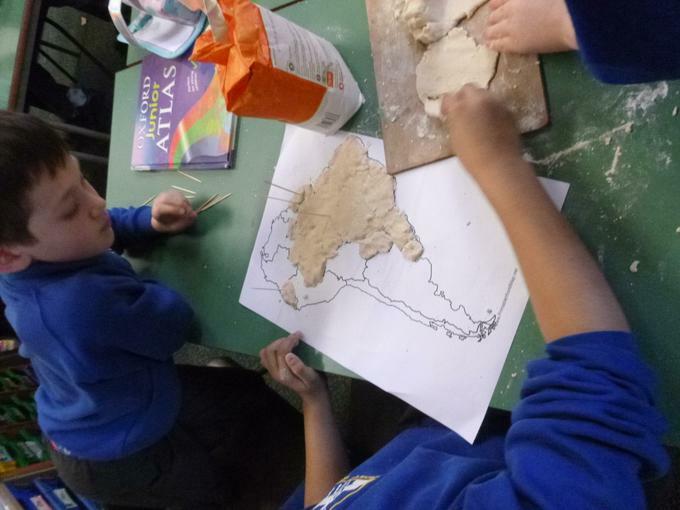 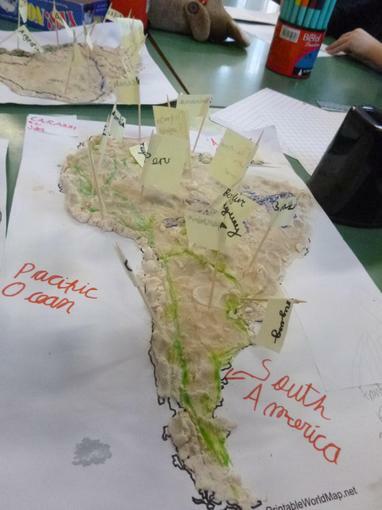 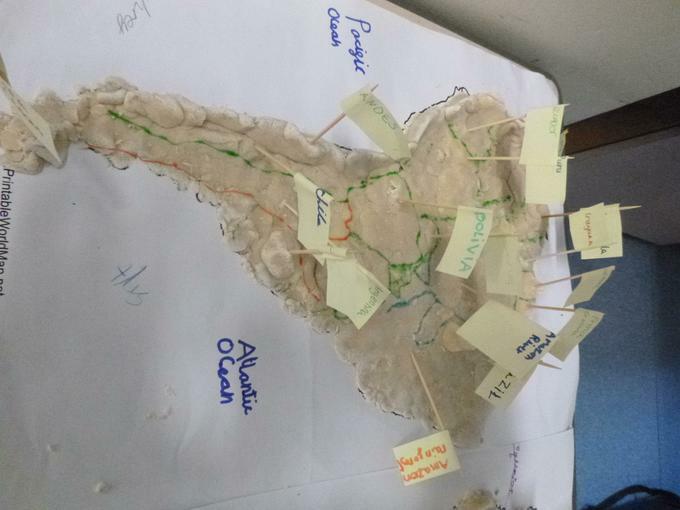 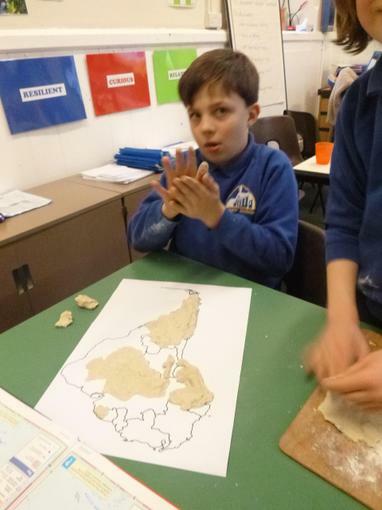 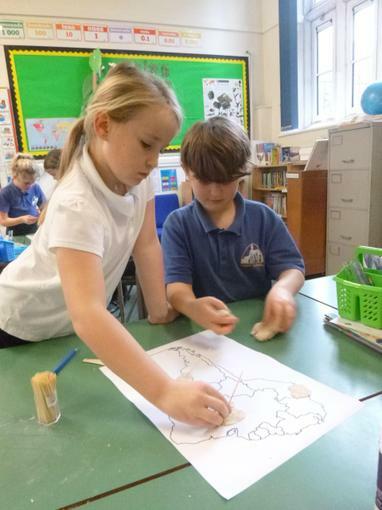 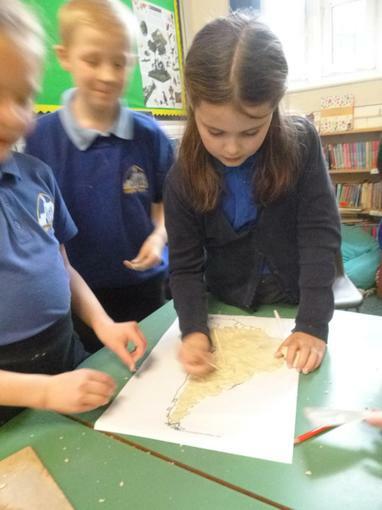 25.01.19 Making the continent of South America with salt dough! 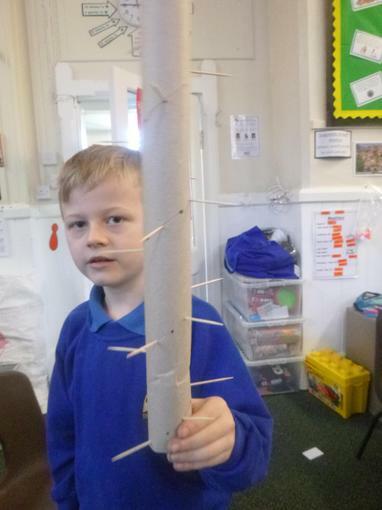 15.1.19 This week in Forest School, we played some trust games to help develop our team work and we continued building our dens. 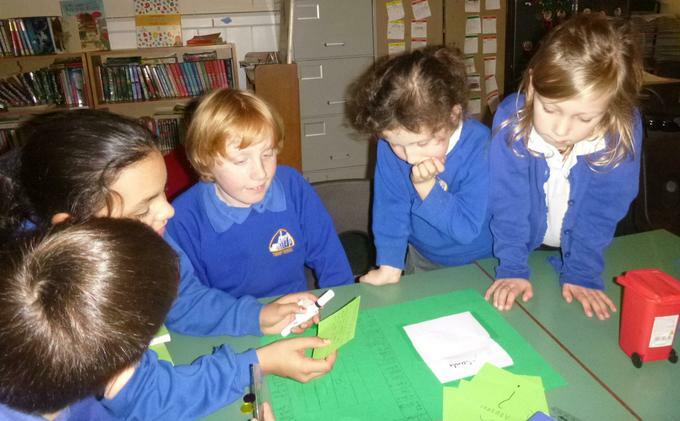 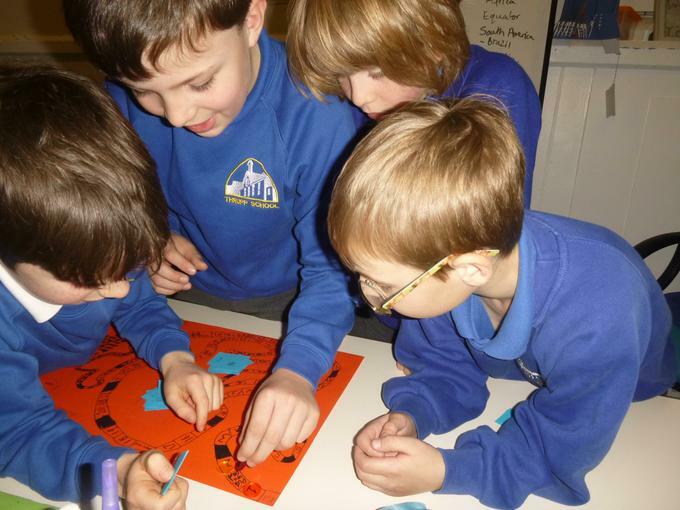 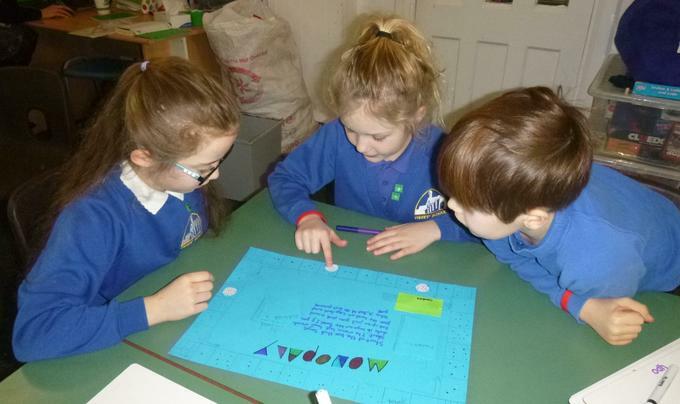 In English, we made word class board games to help learn the difference between nouns, adjectives, verbs and adverbs. 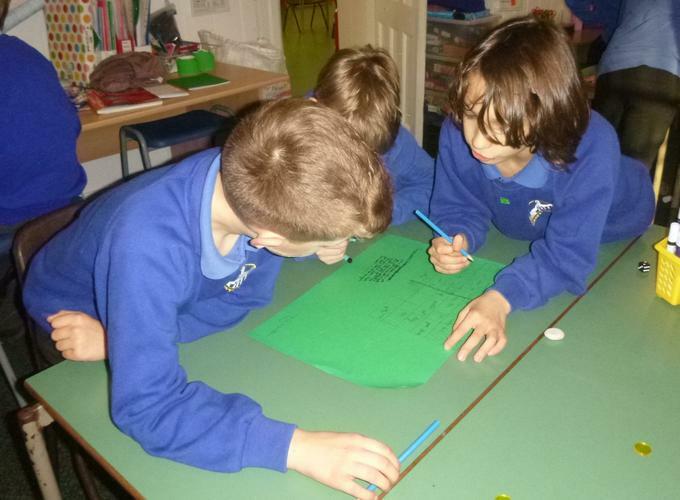 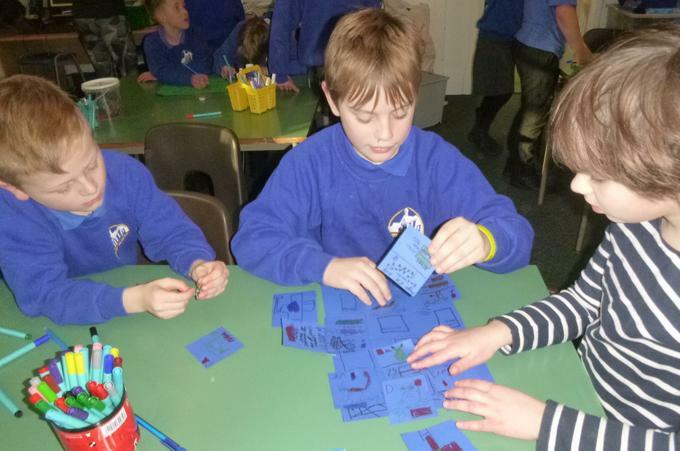 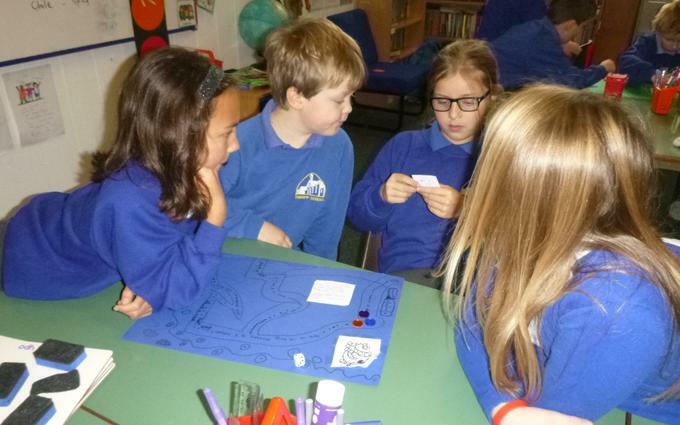 The Year 3 children joined us to play our games! 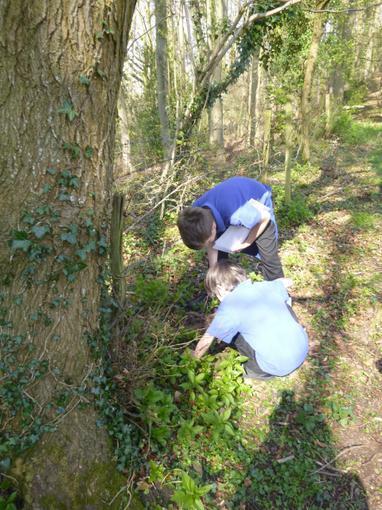 We have started 2019 off with a sunny trip to Yew Tree Farm woodlands as part of Forest School with Carrie Roet. 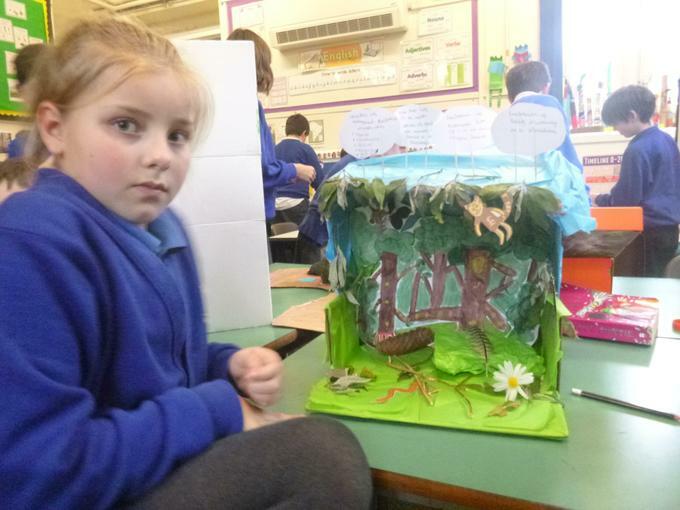 The children built their own dens in teams and showed great team-building skills.